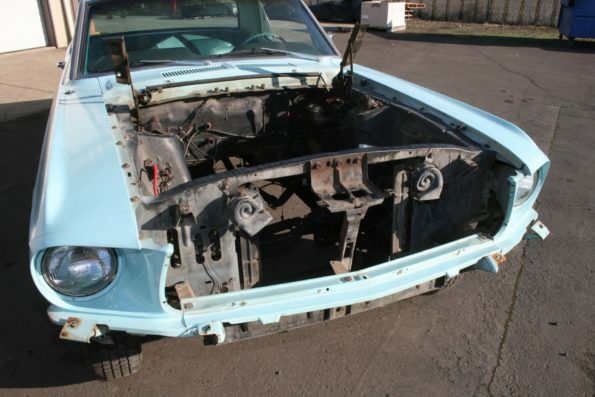 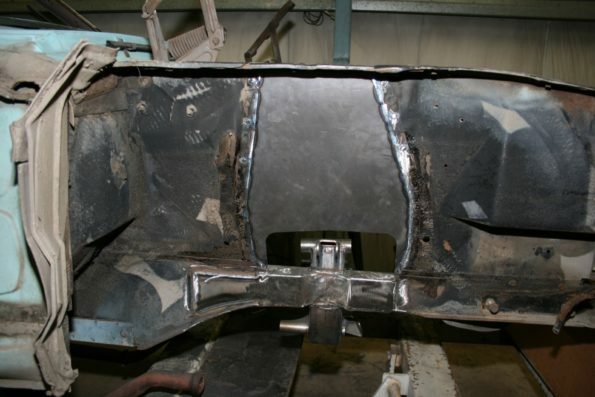 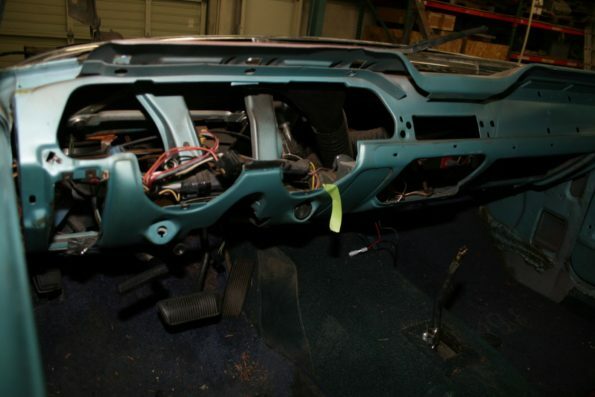 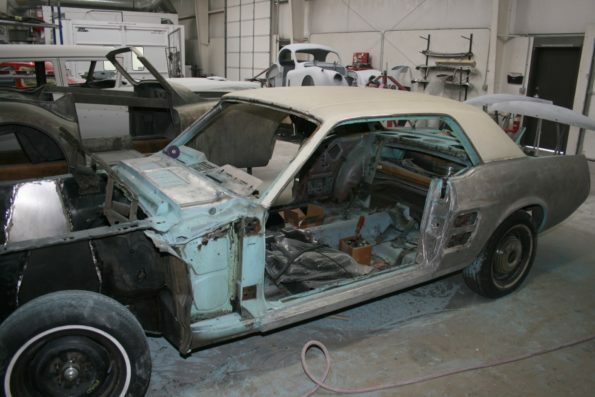 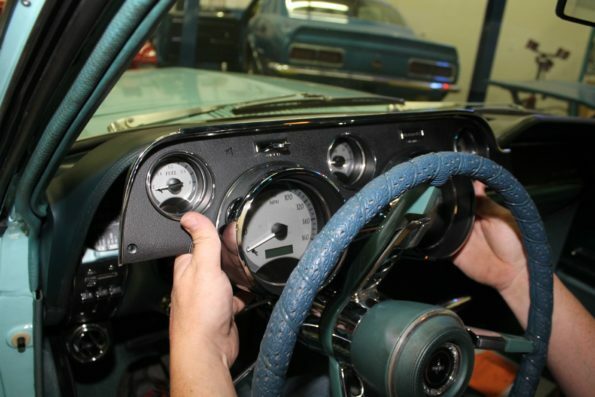 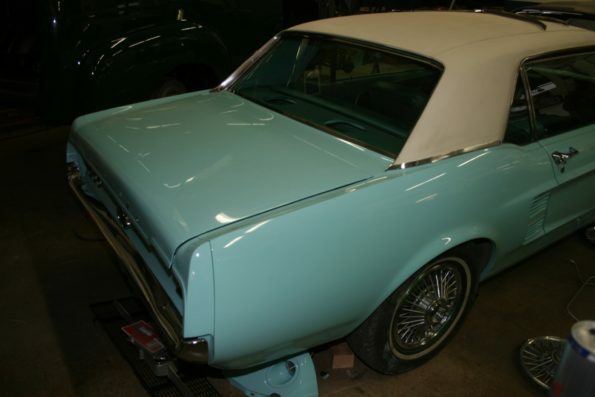 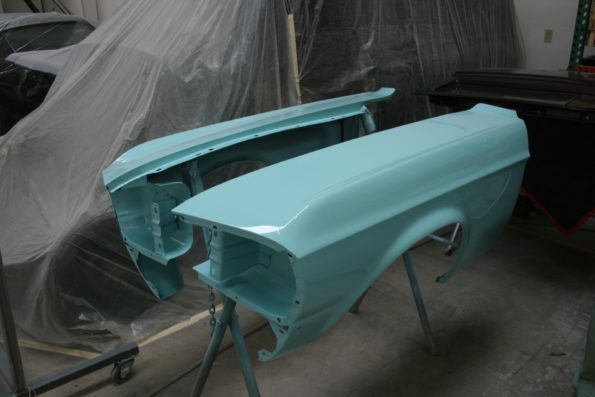 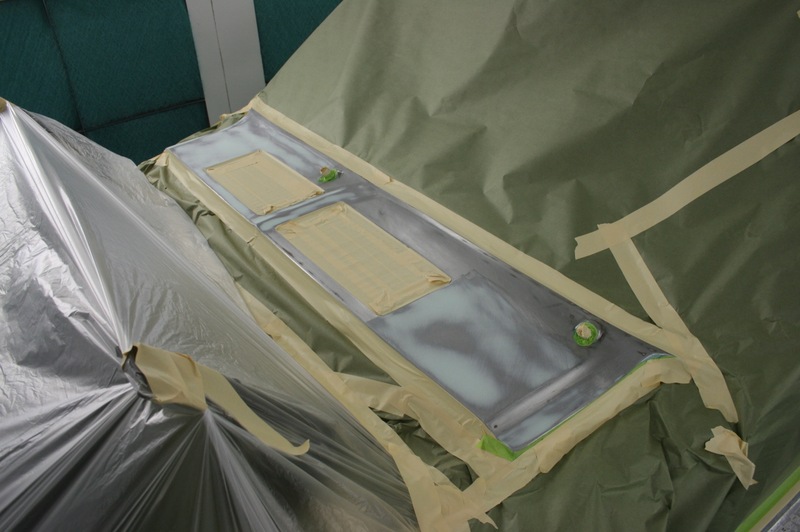 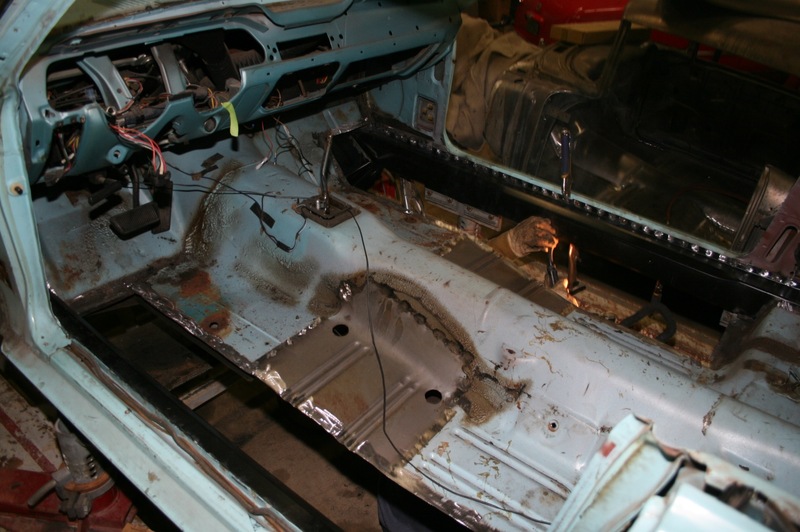 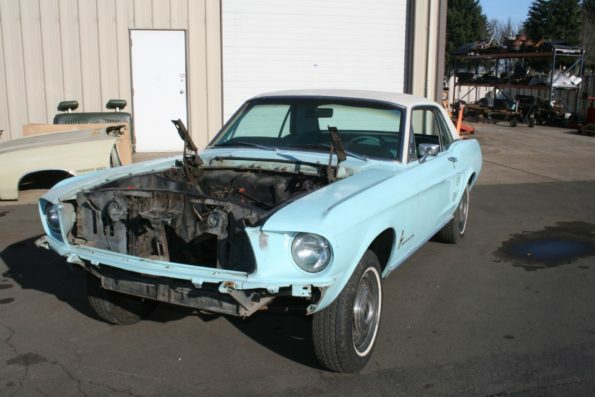 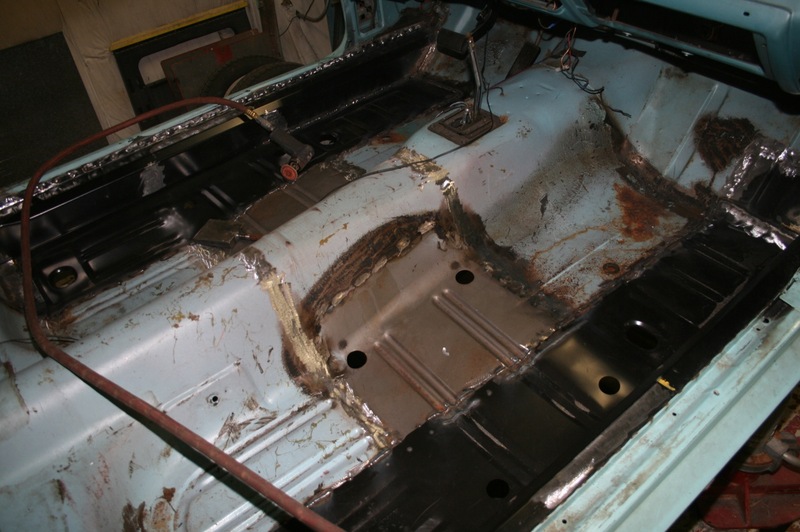 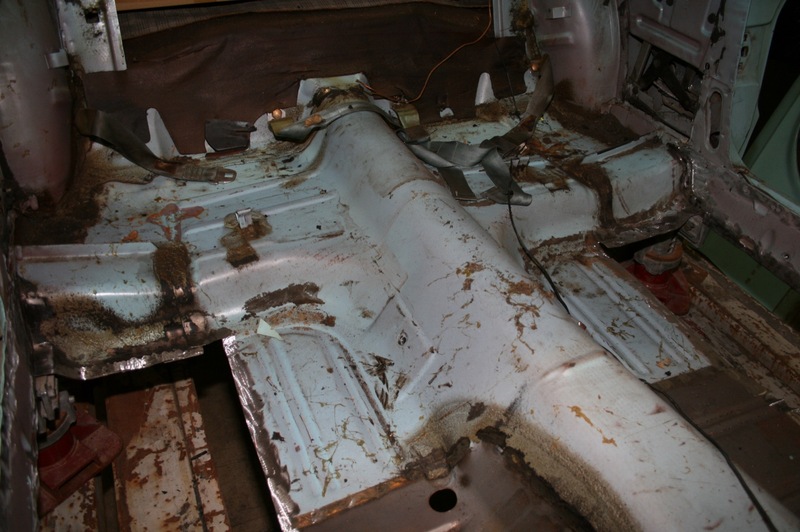 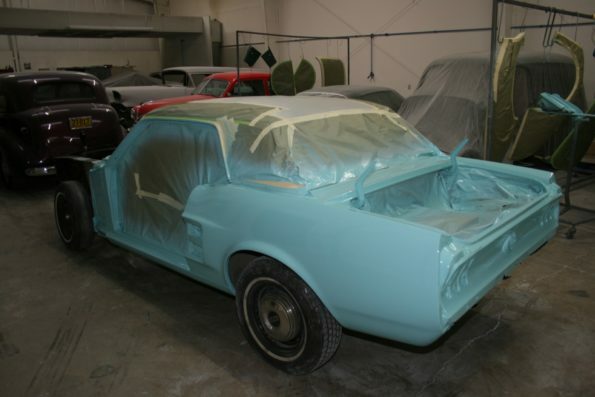 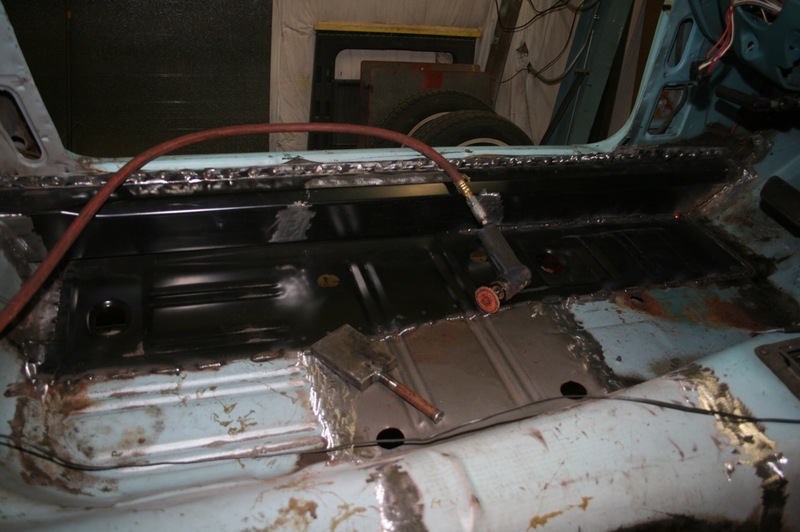 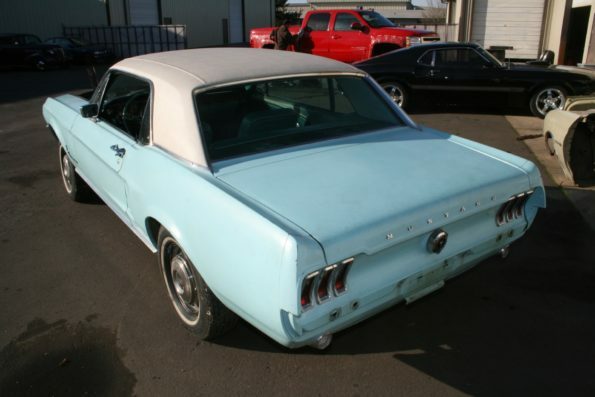 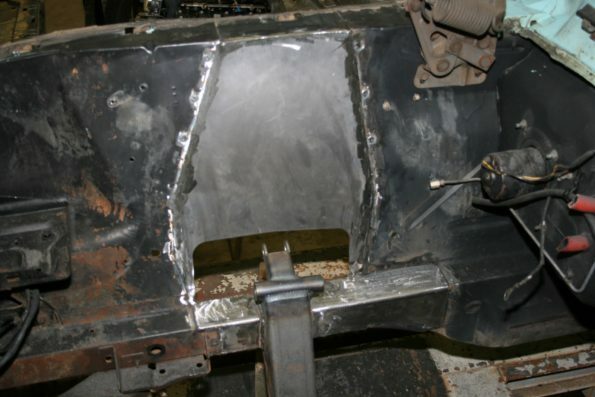 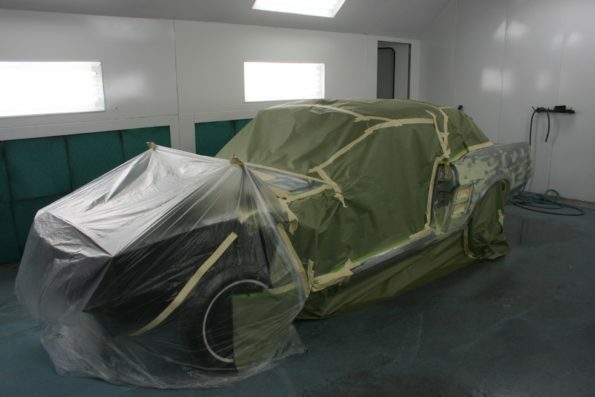 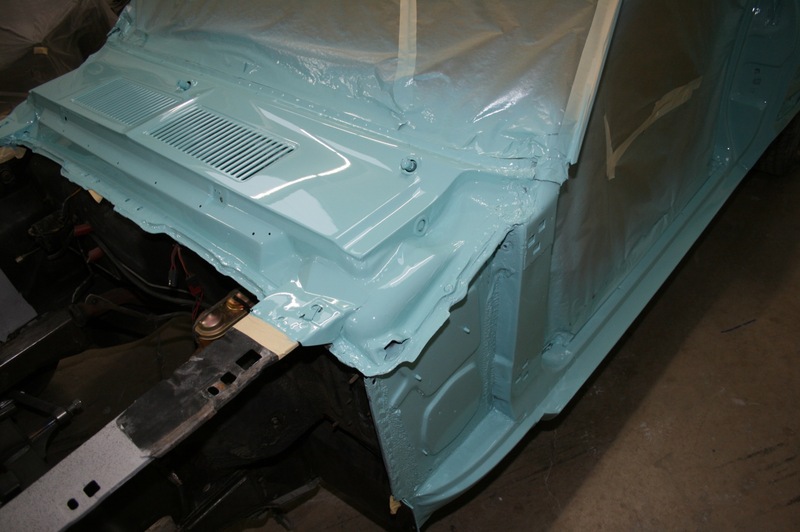 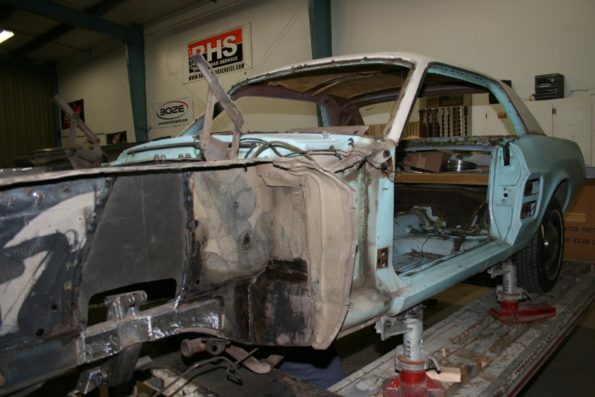 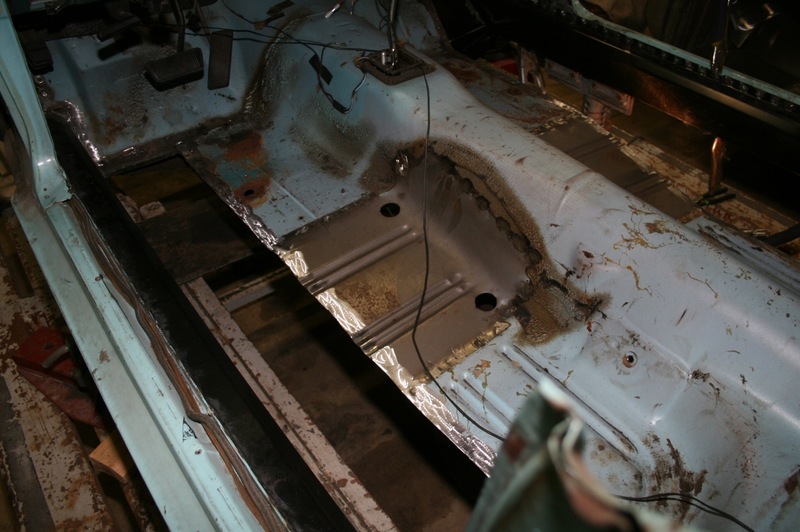 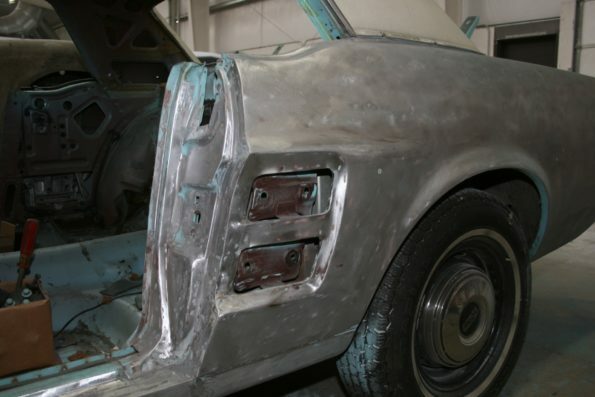 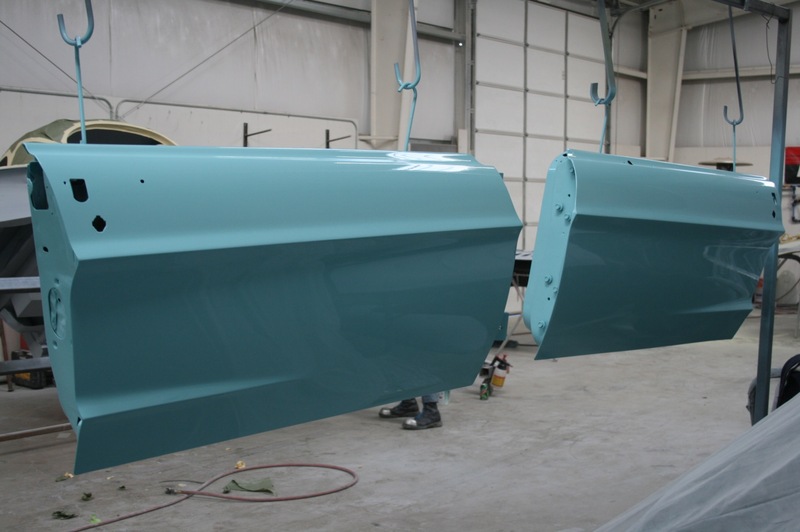 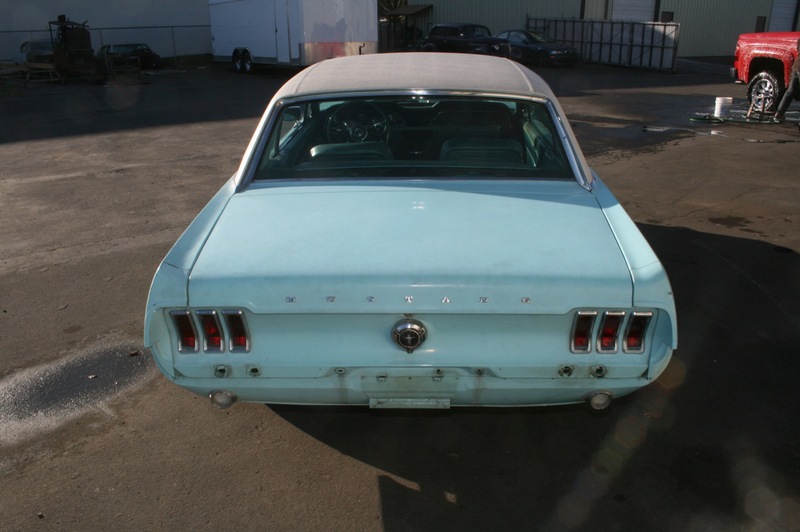 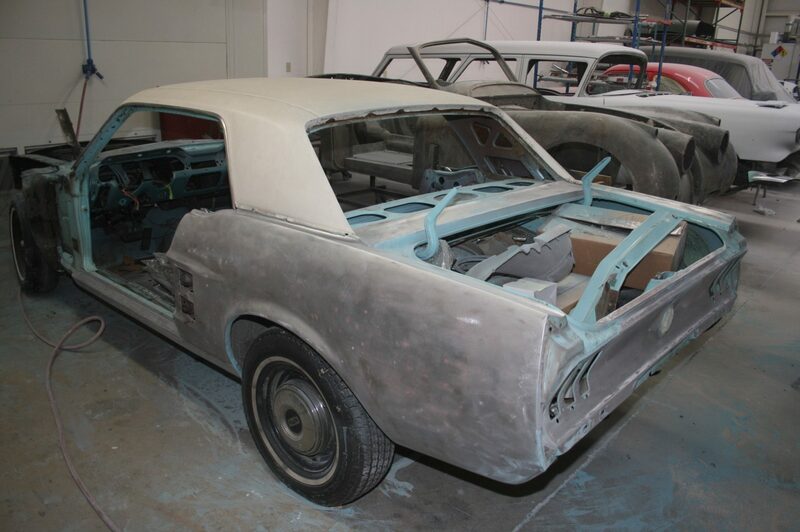 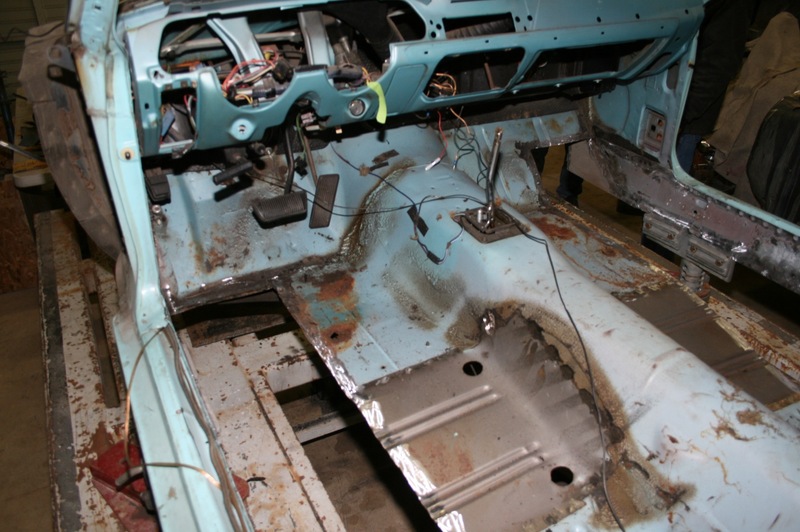 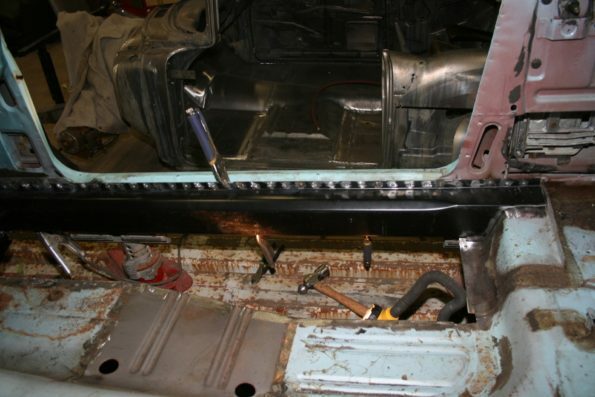 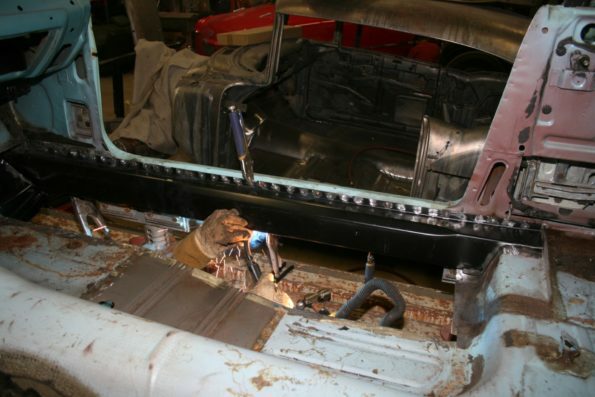 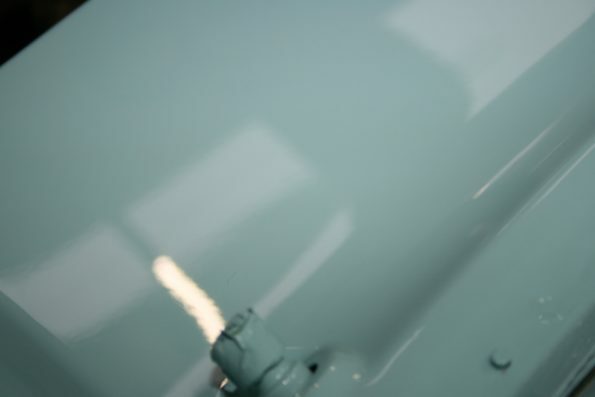 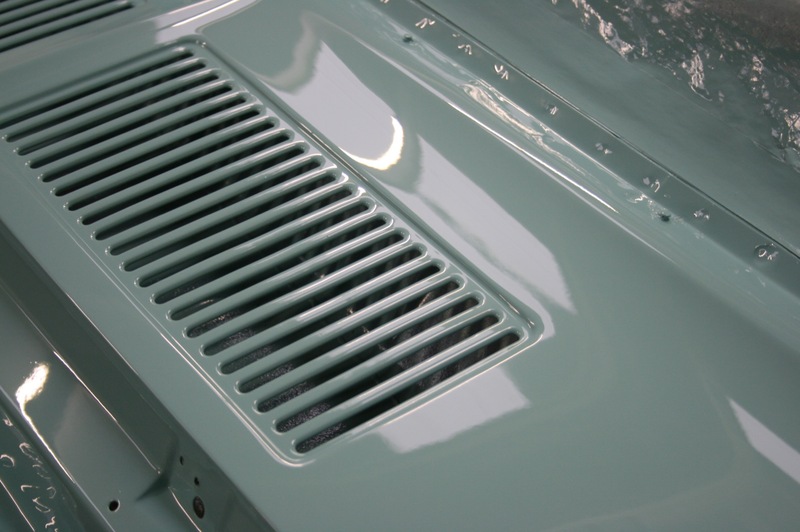 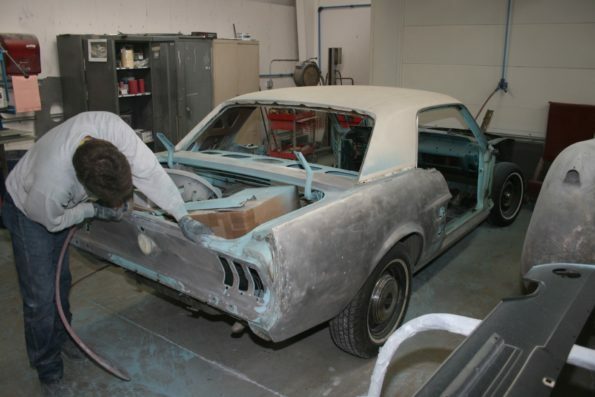 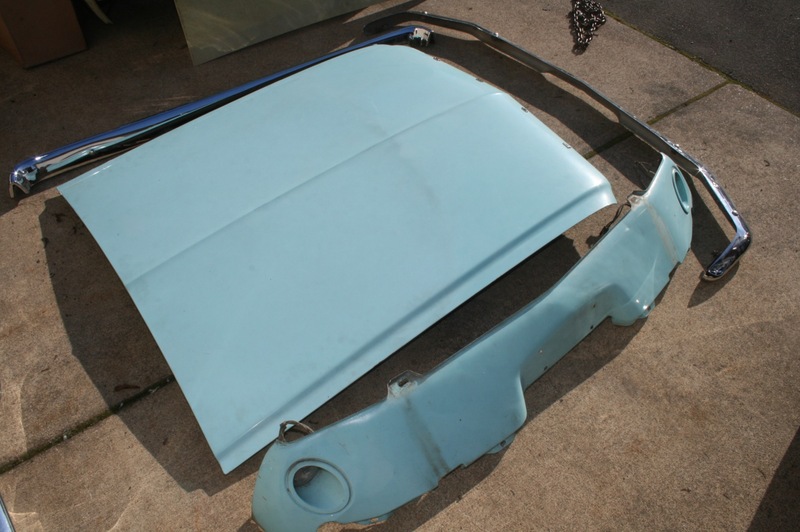 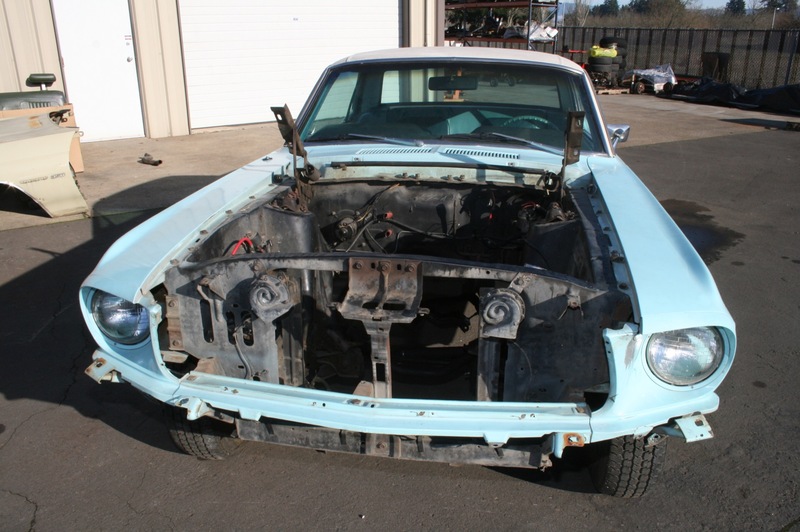 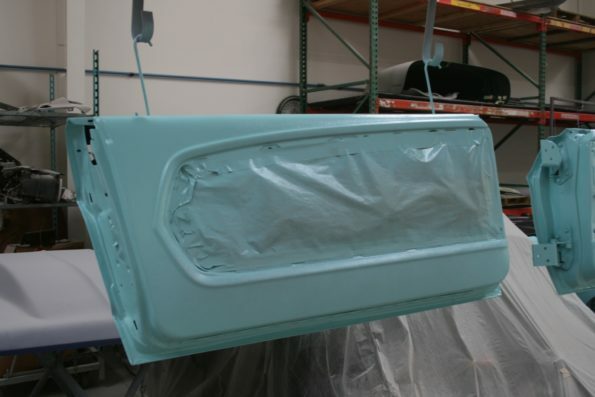 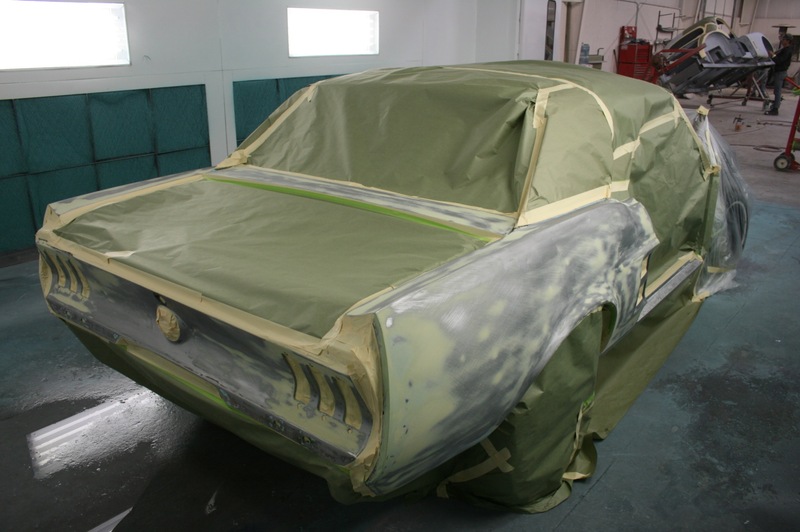 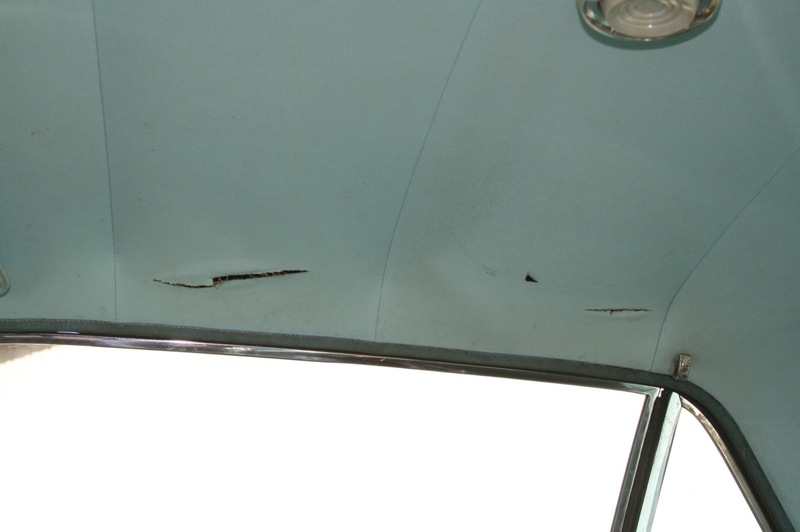 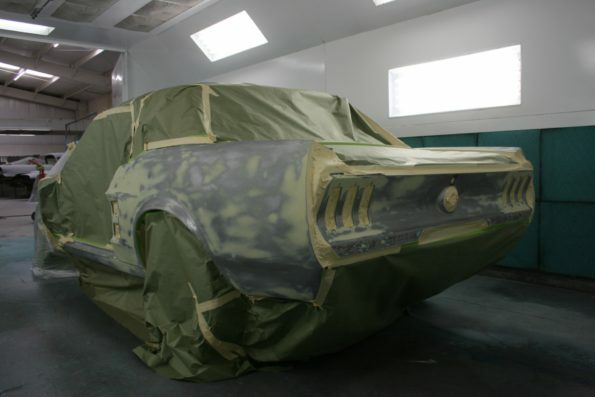 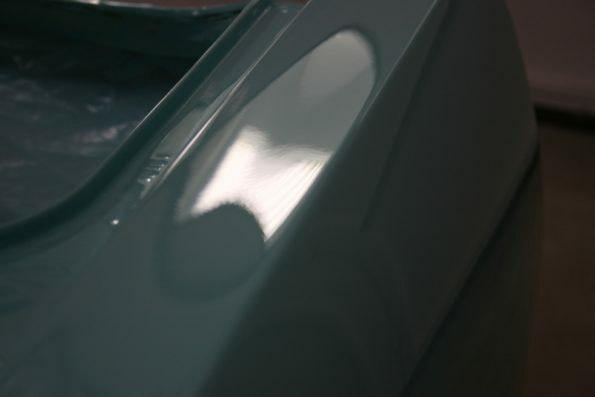 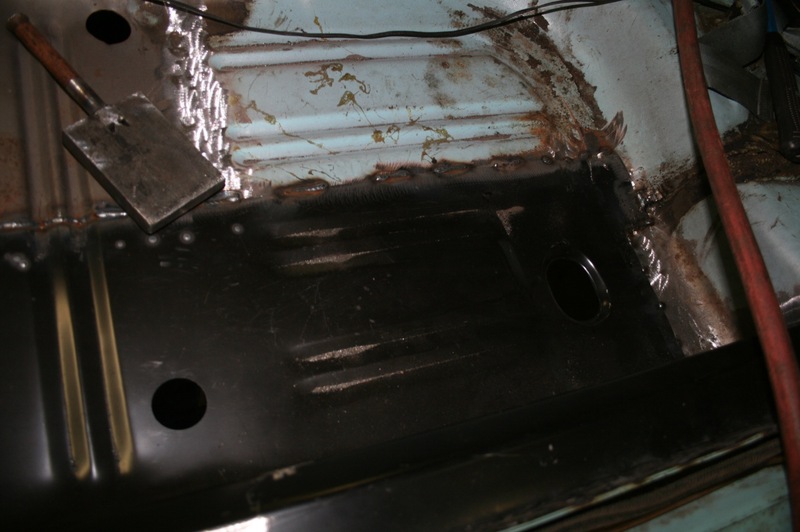 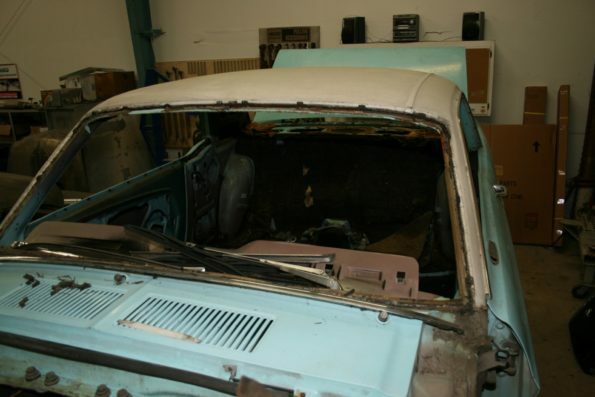 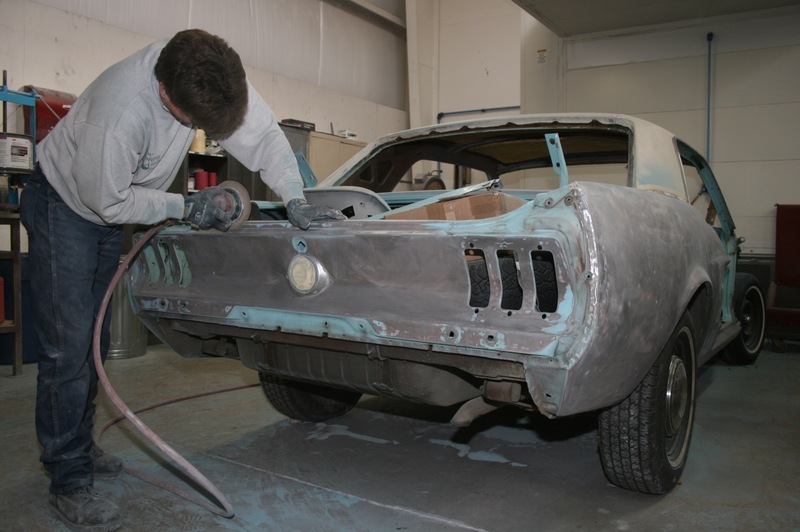 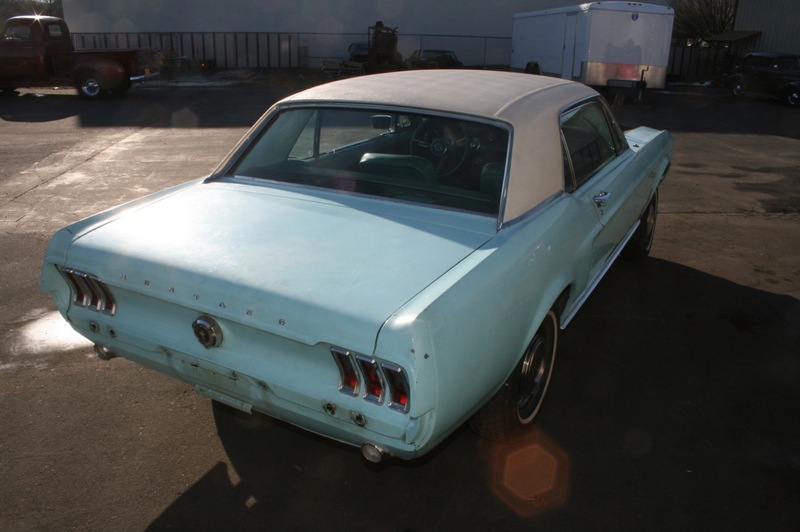 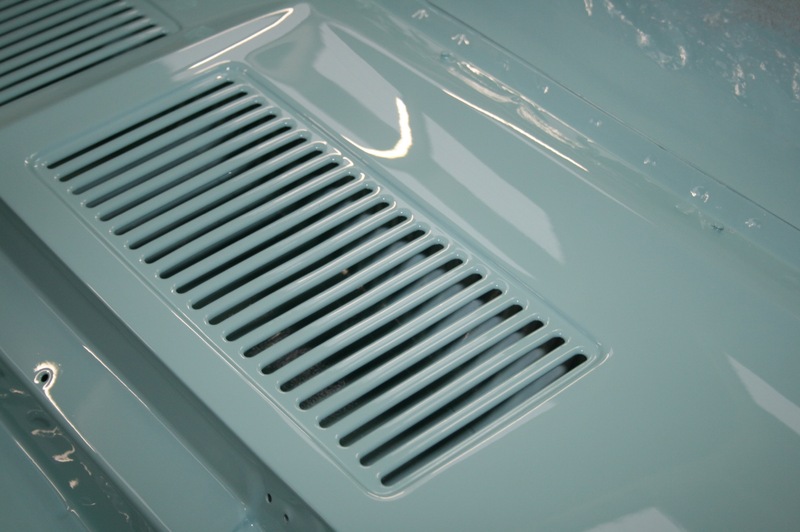 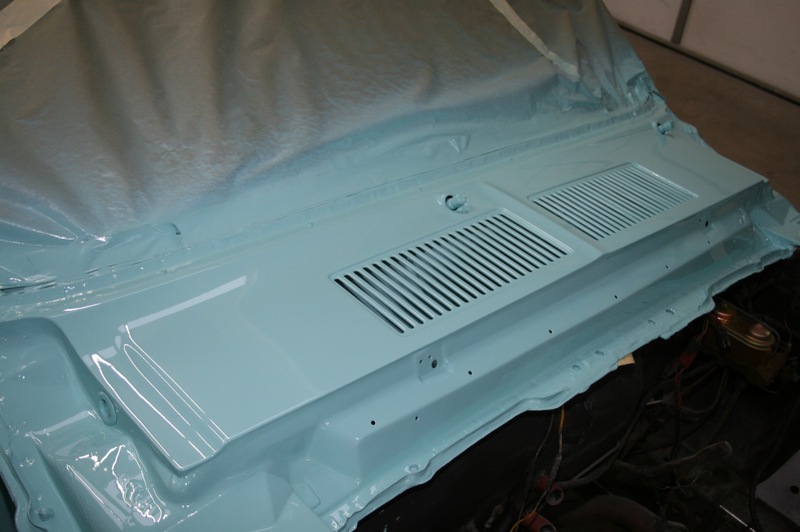 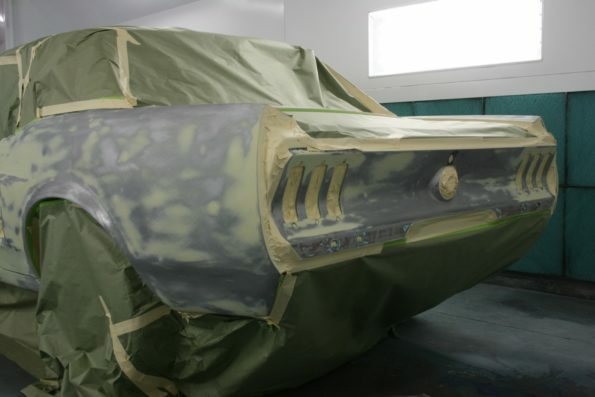 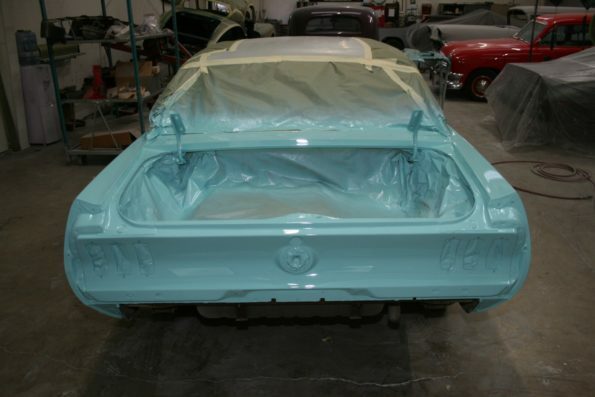 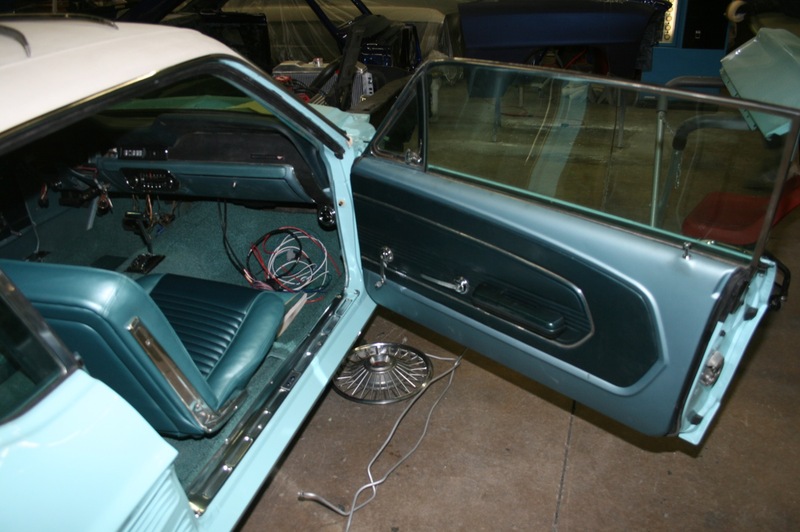 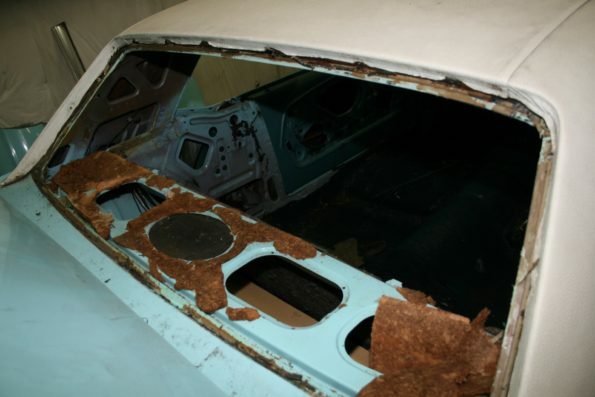 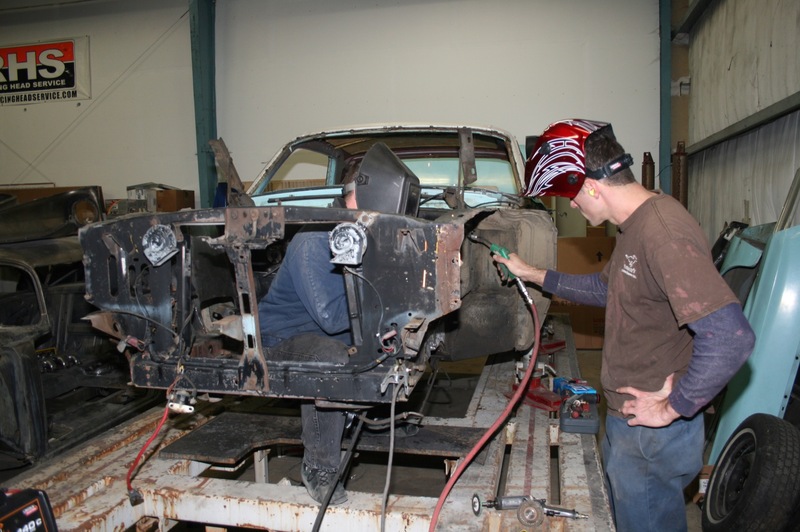 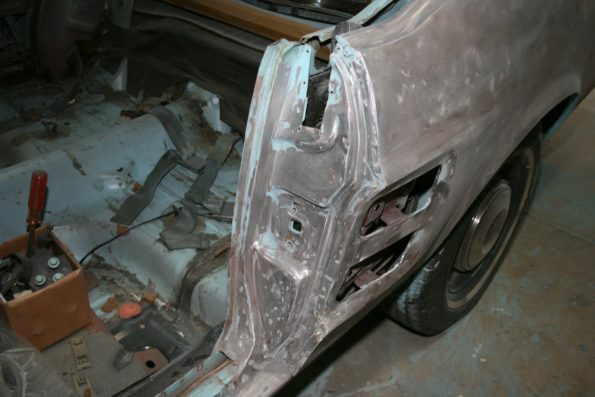 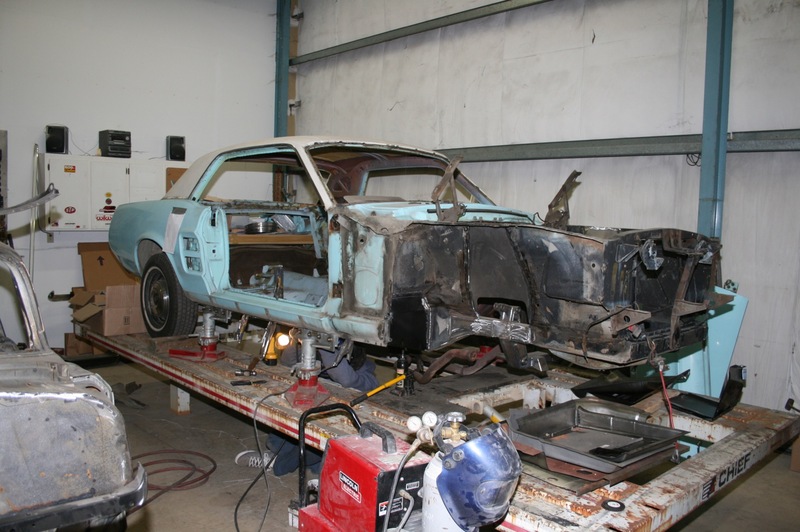 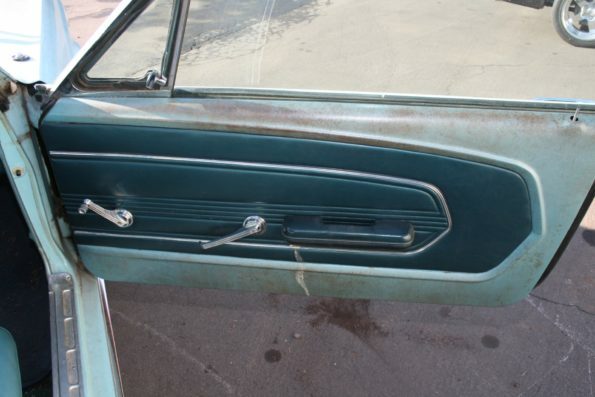 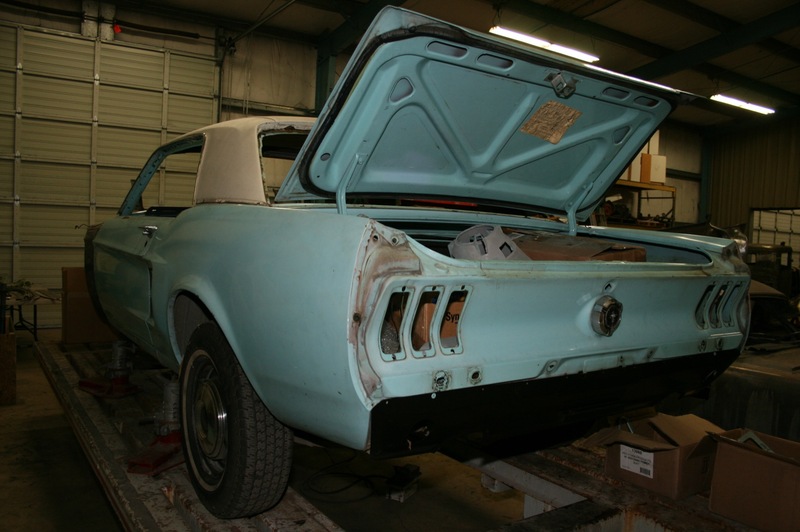 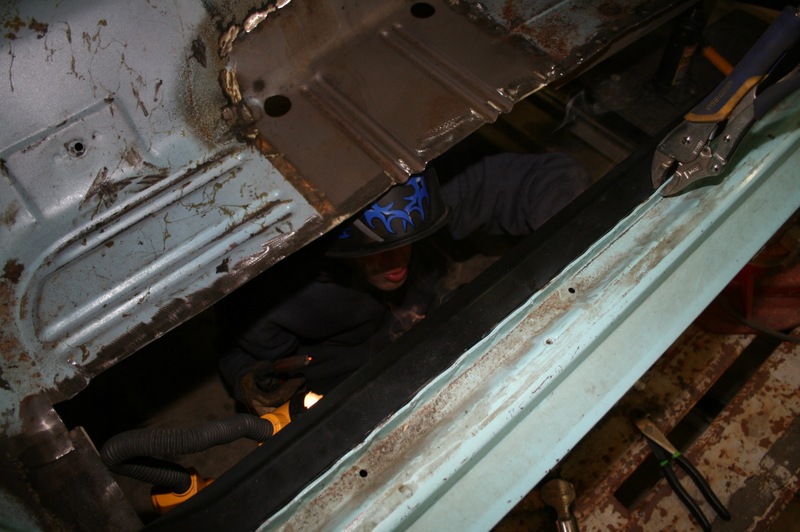 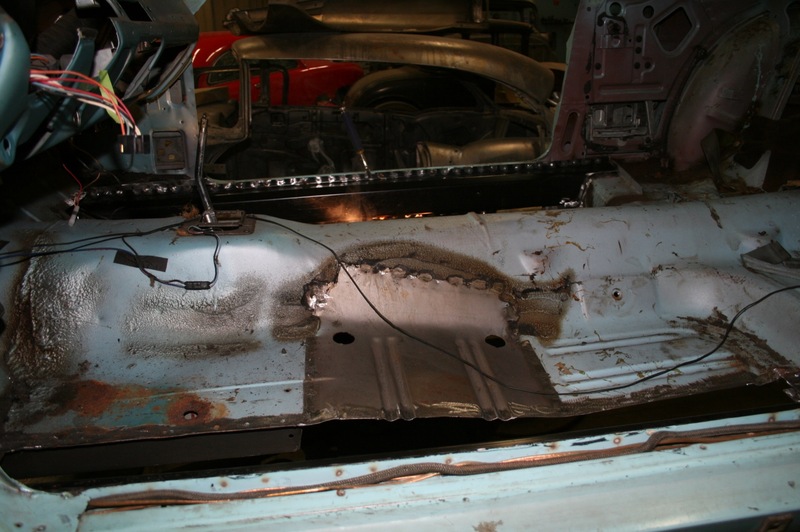 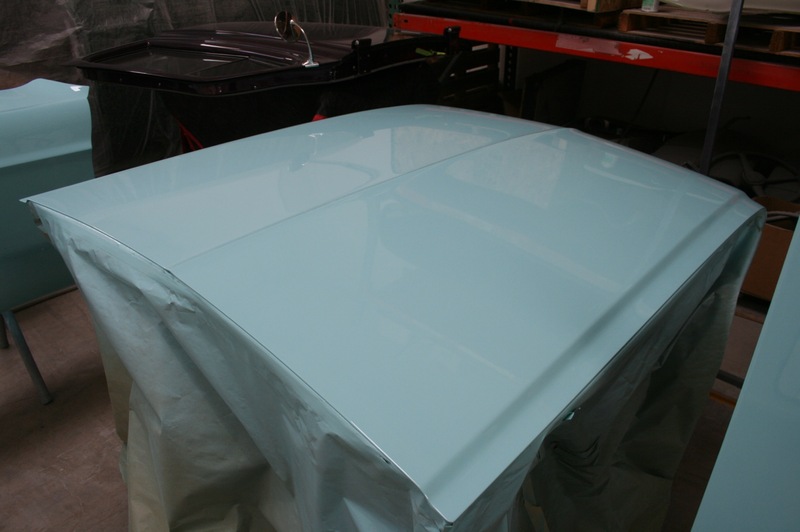 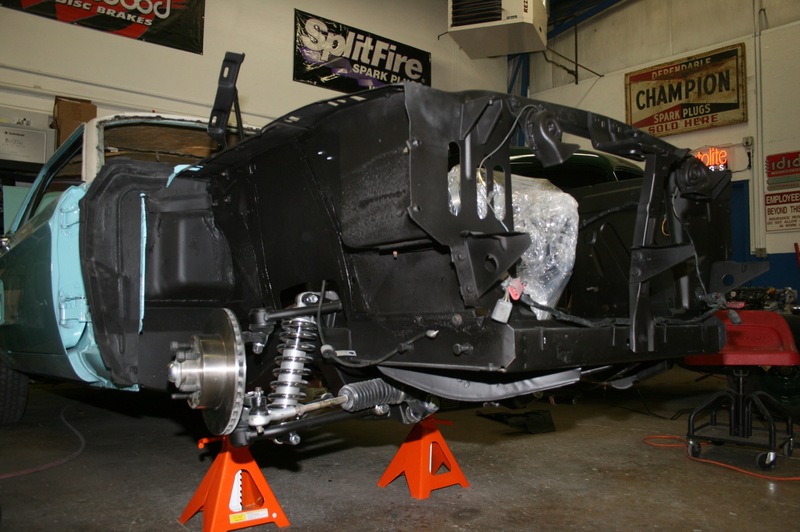 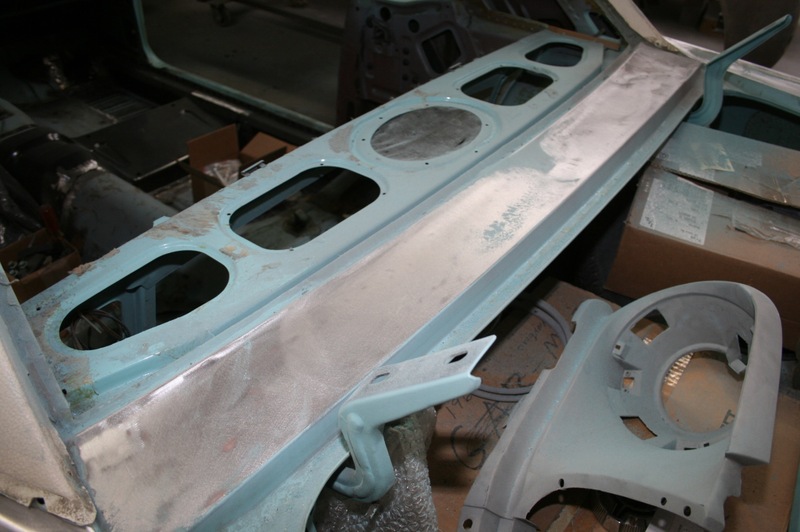 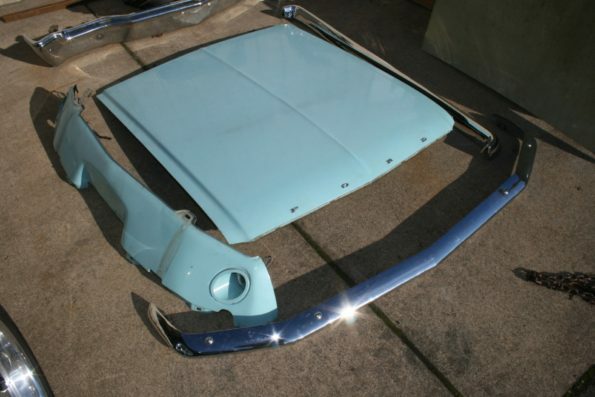 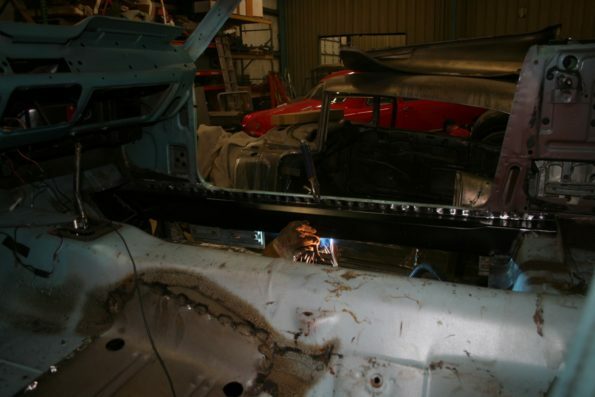 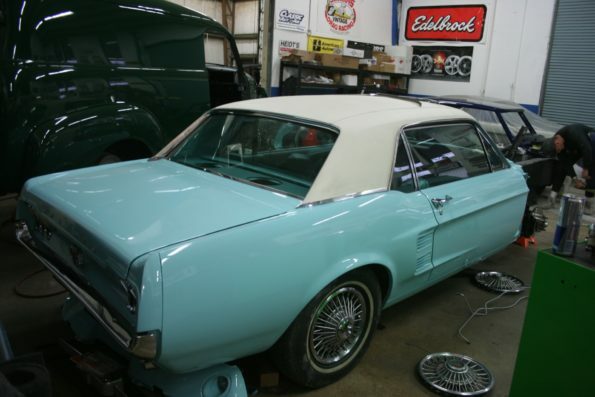 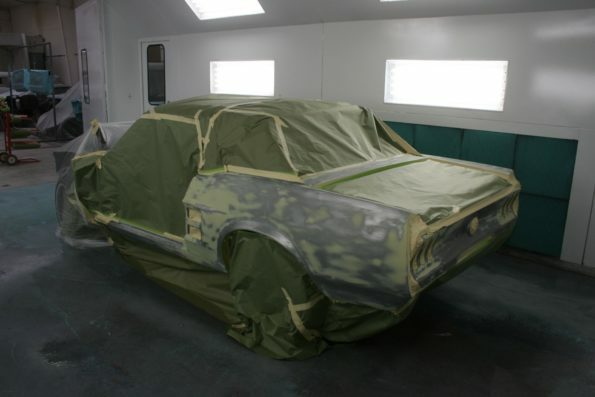 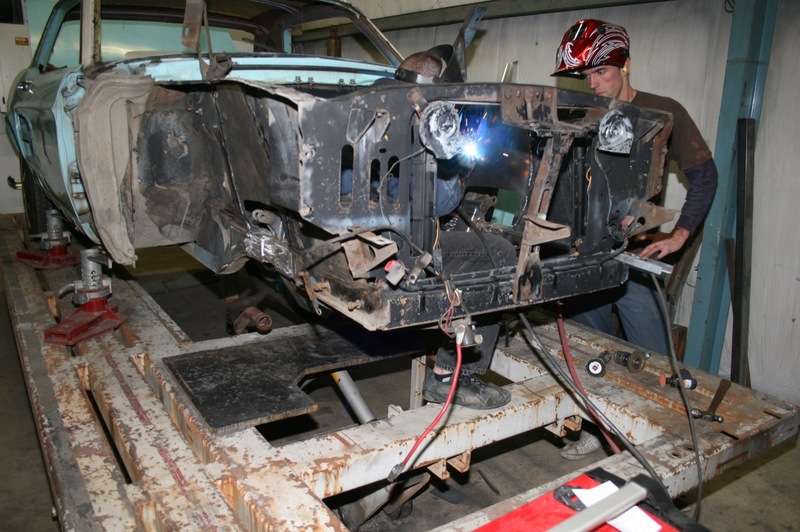 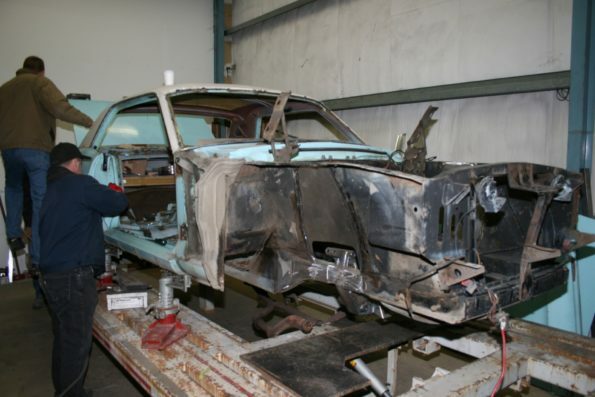 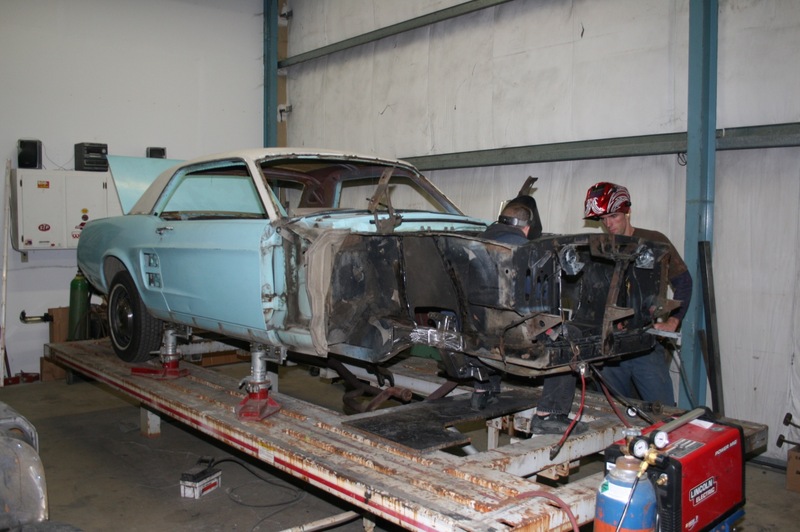 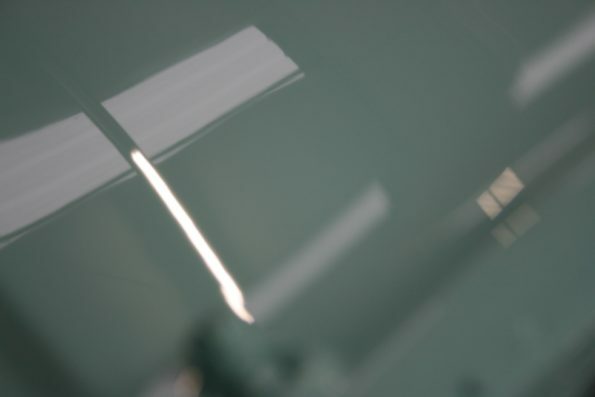 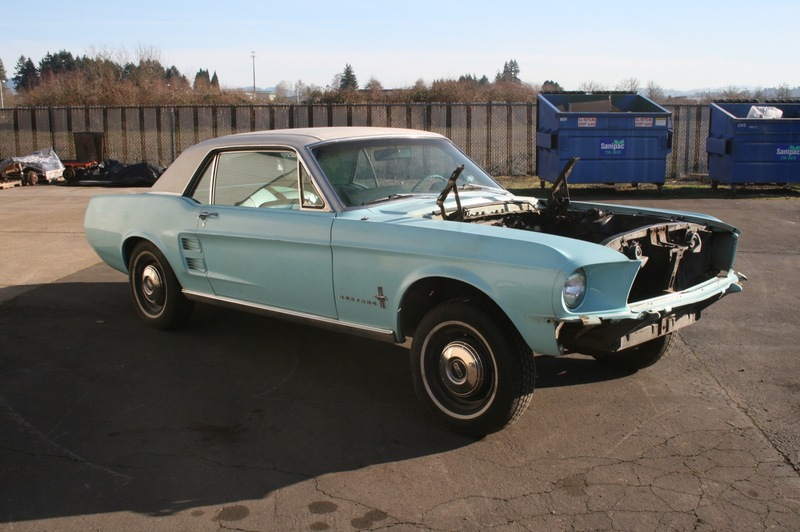 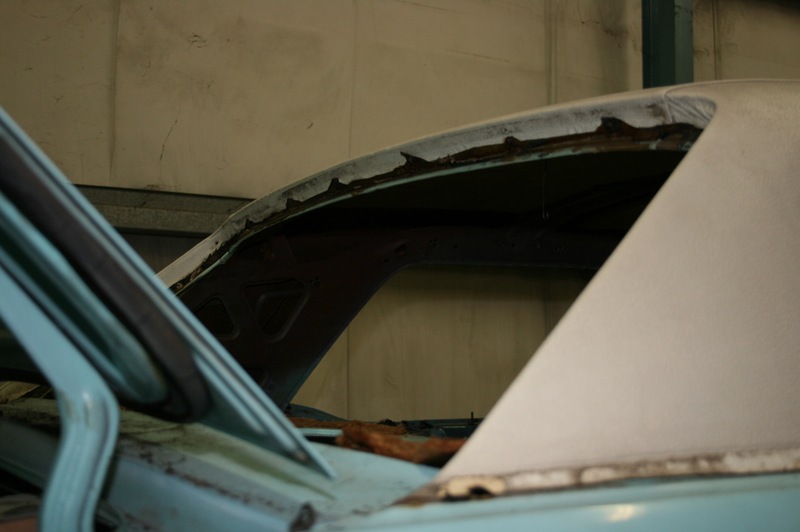 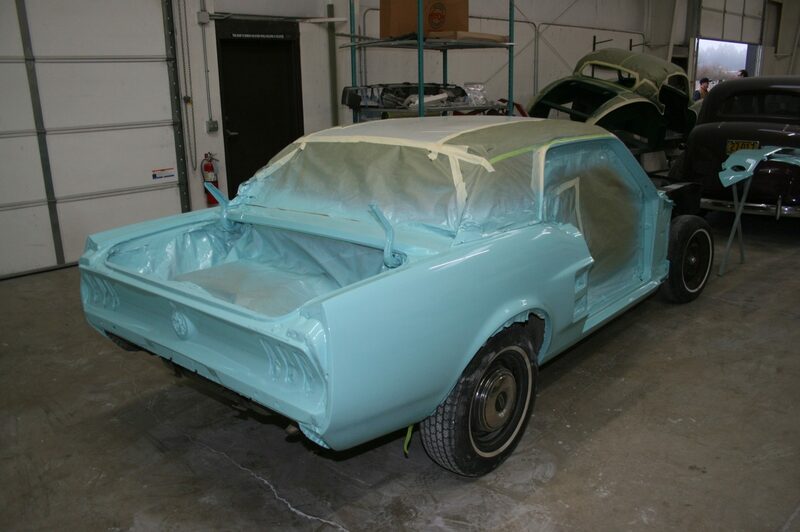 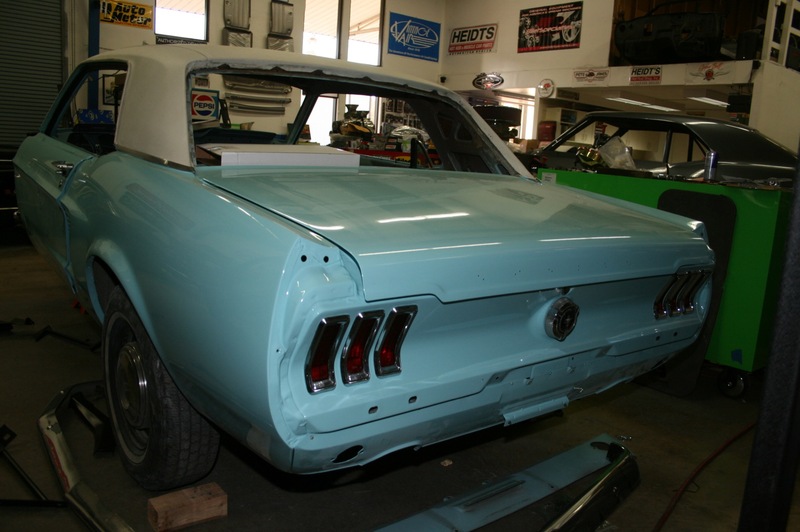 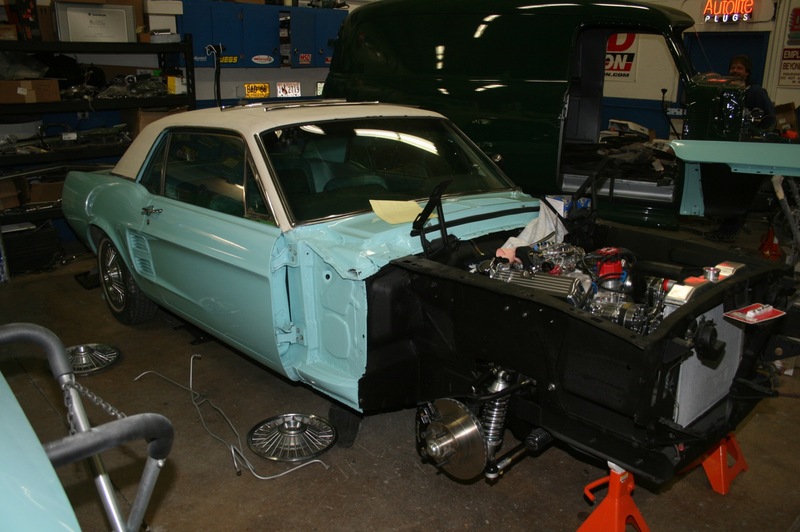 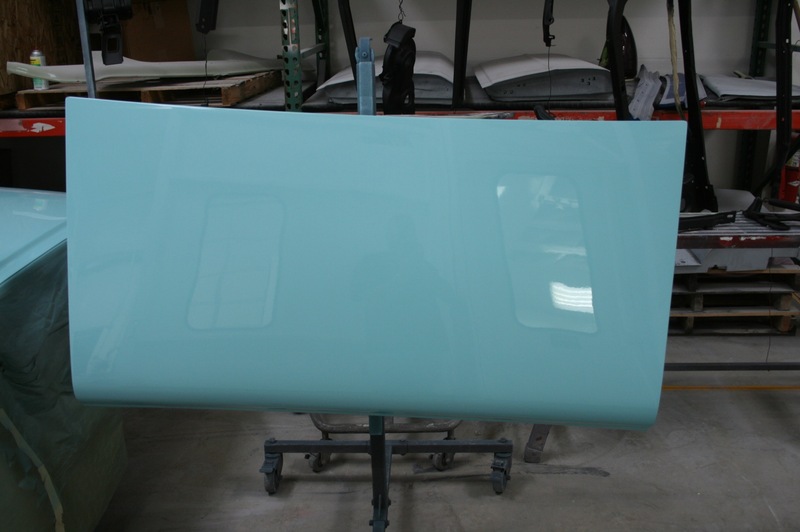 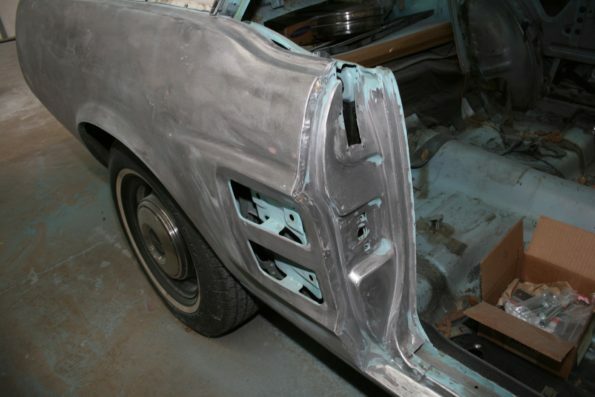 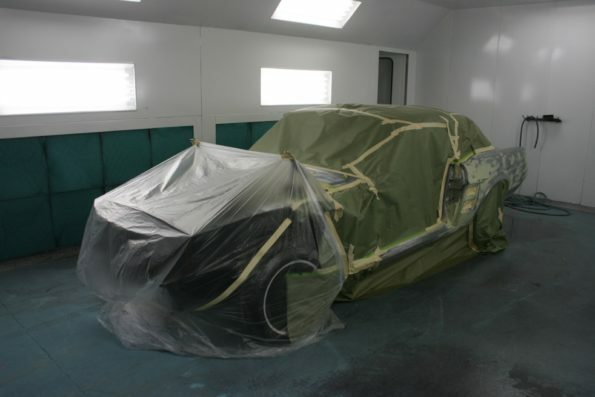 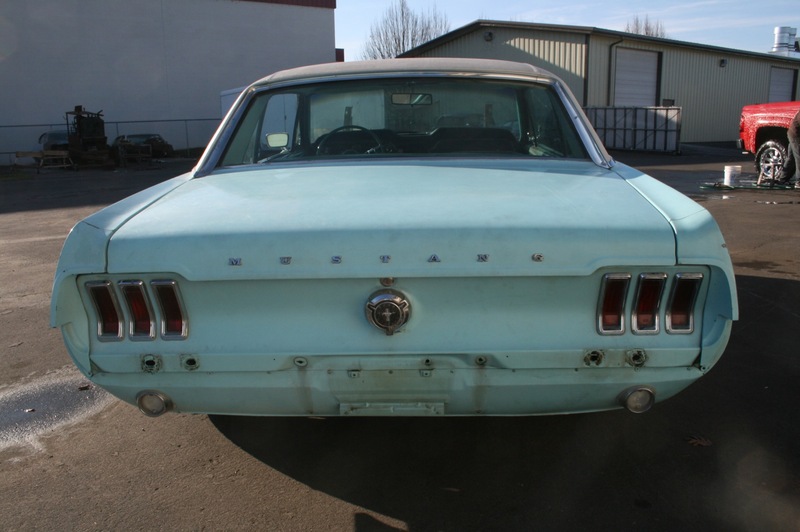 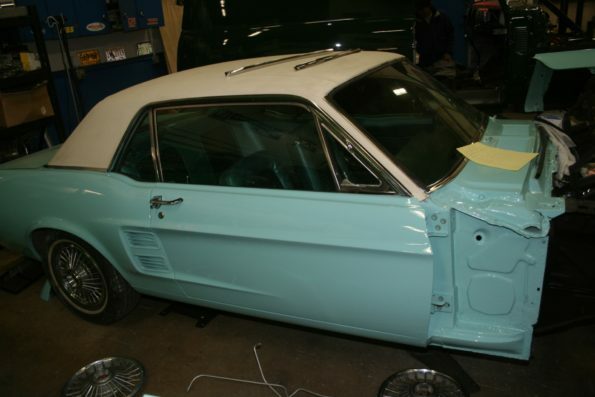 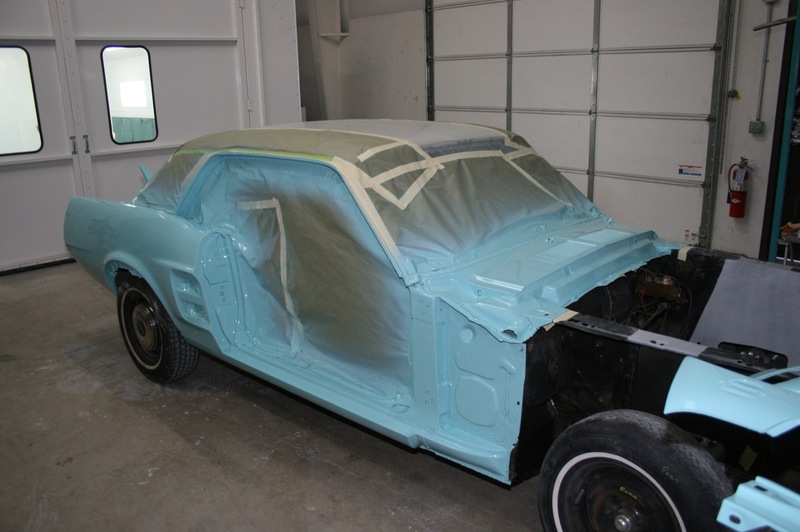 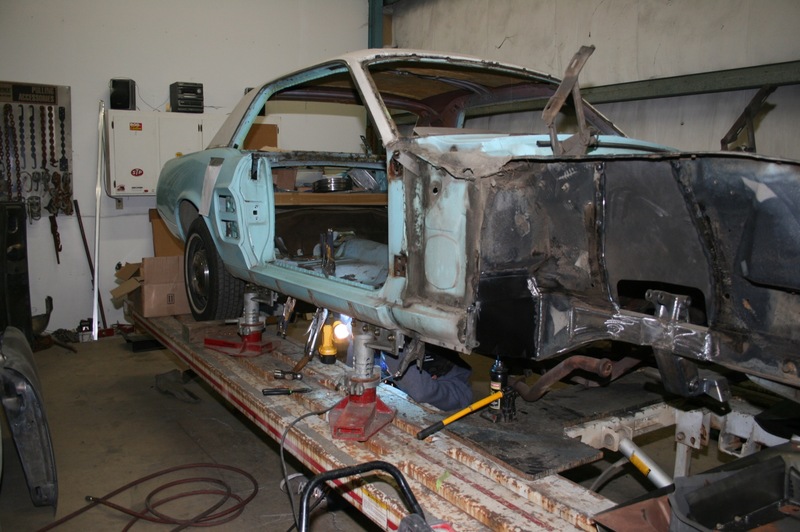 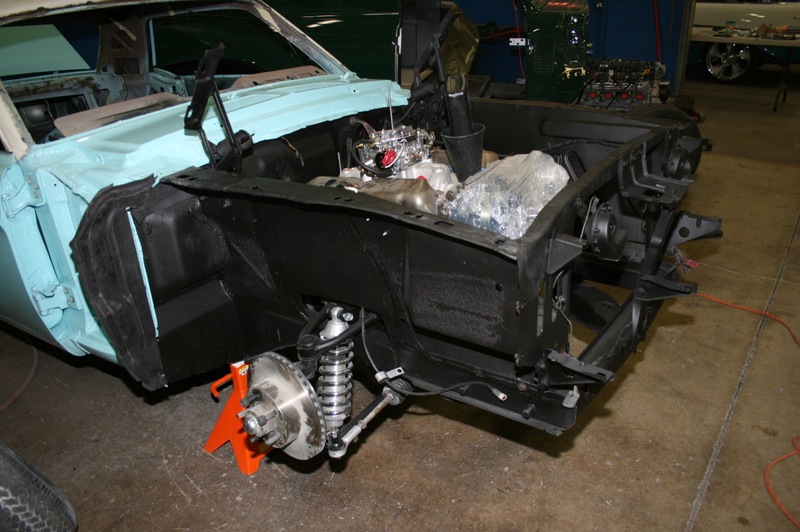 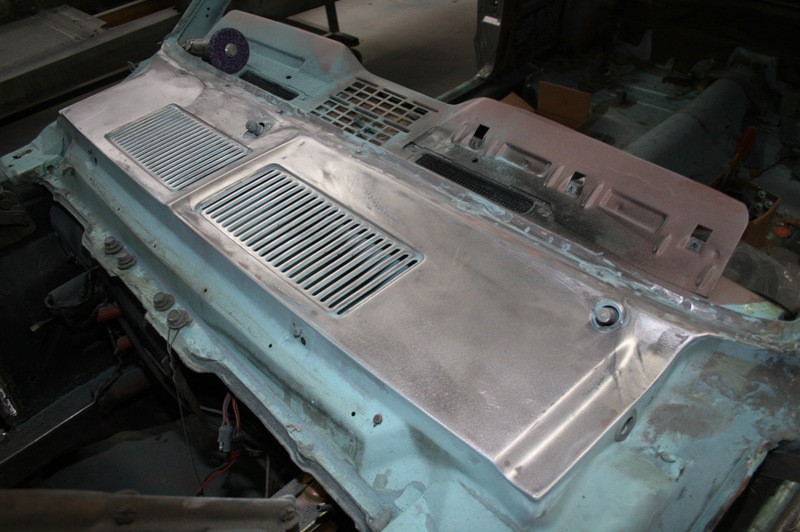 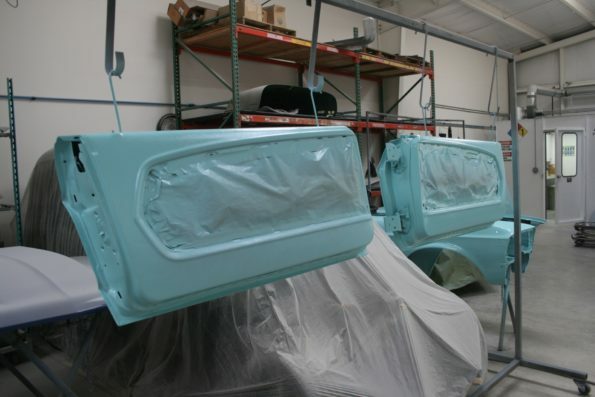 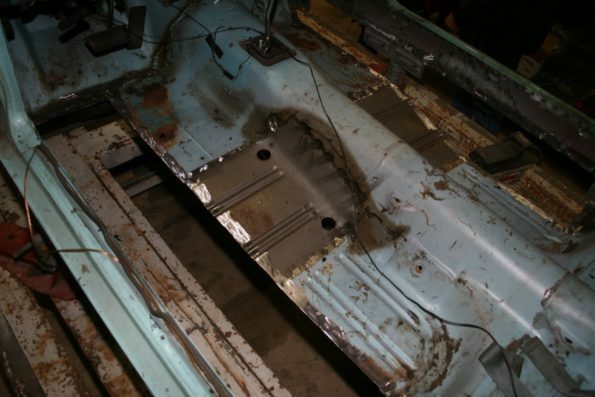 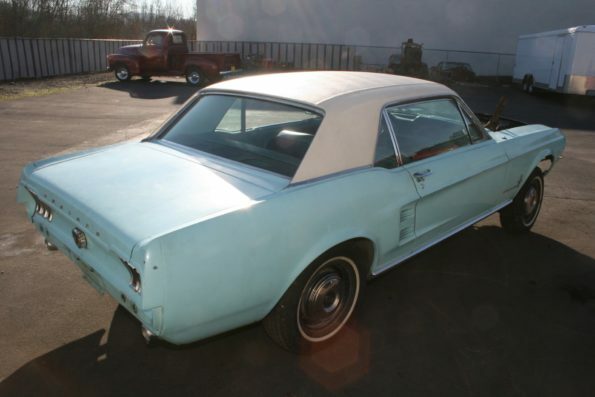 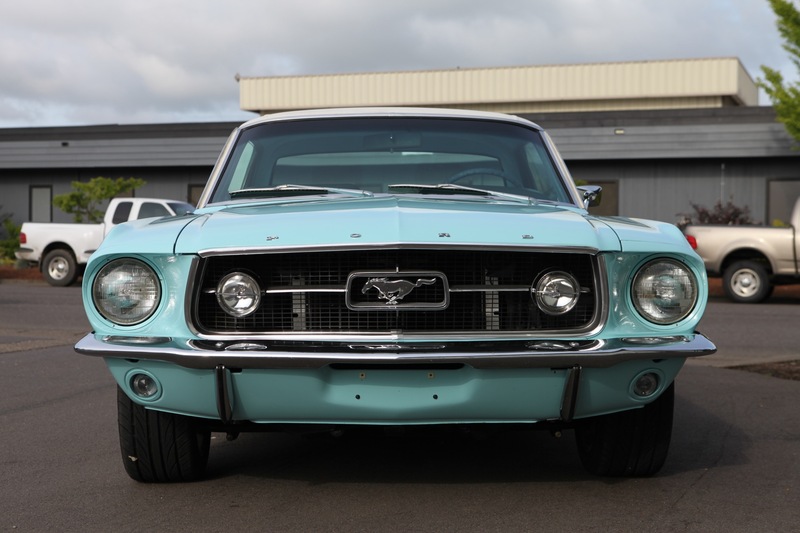 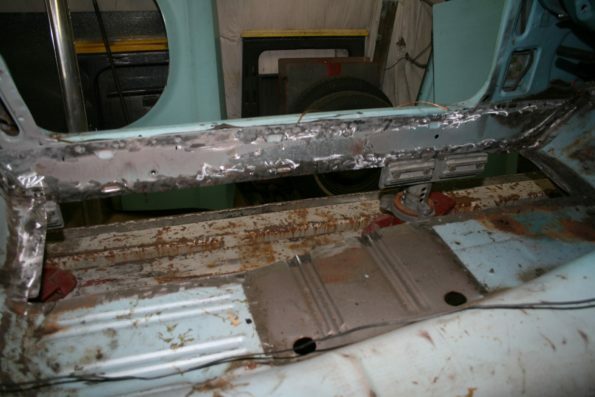 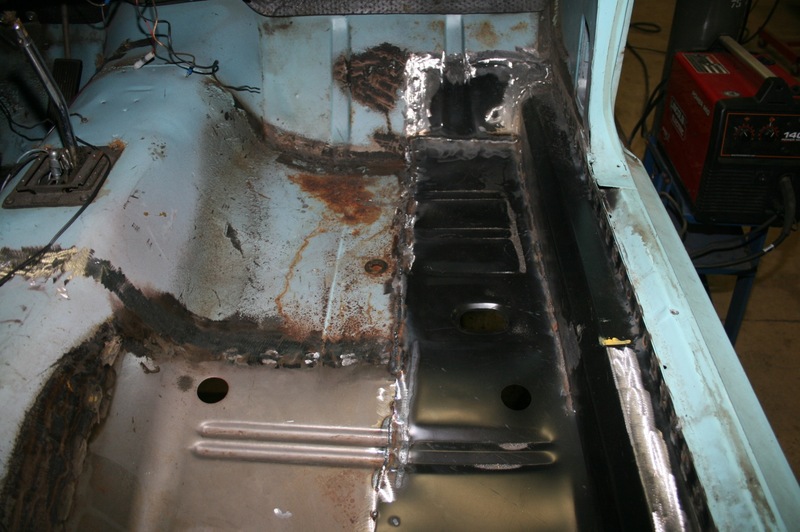 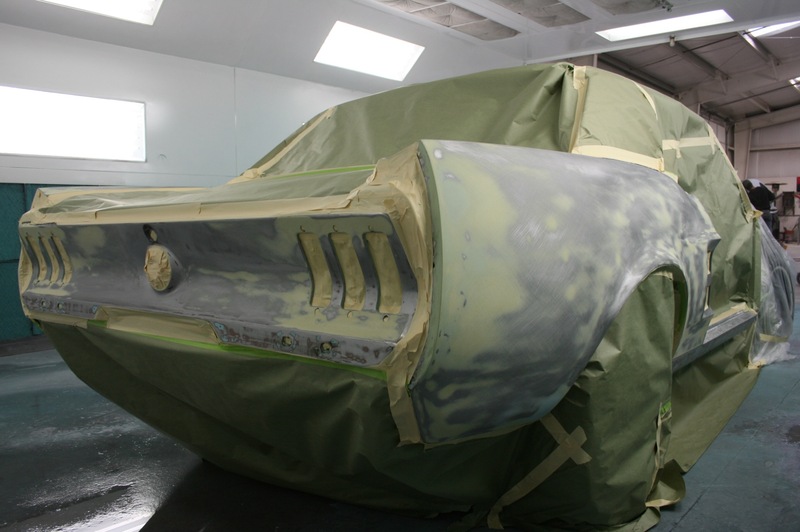 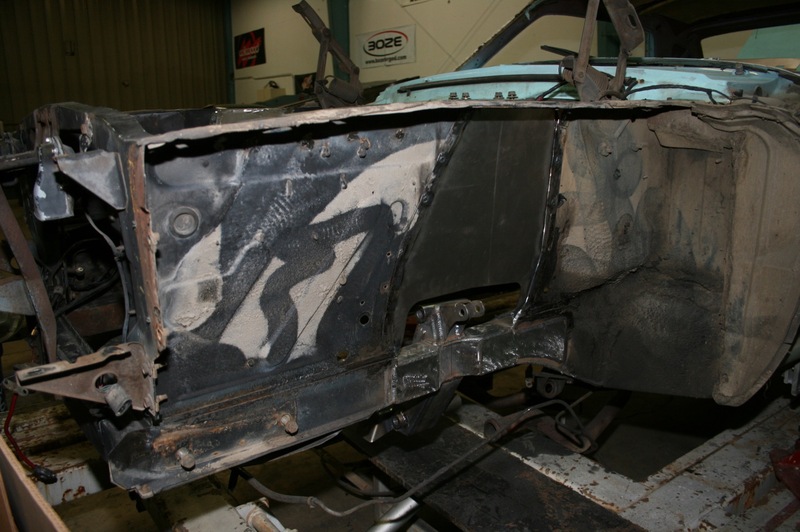 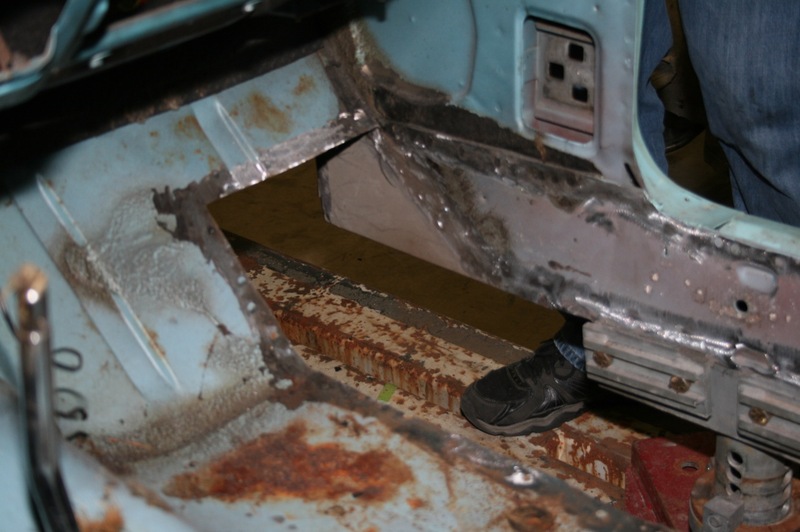 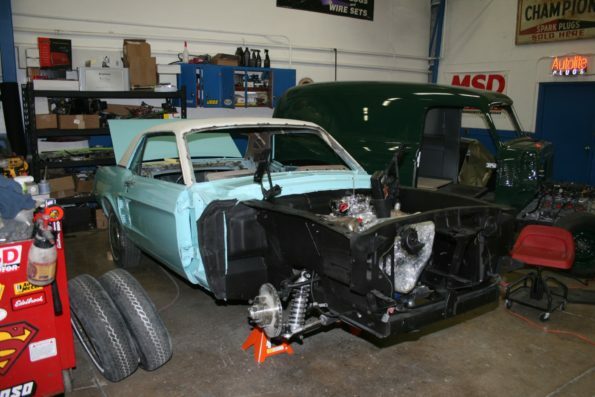 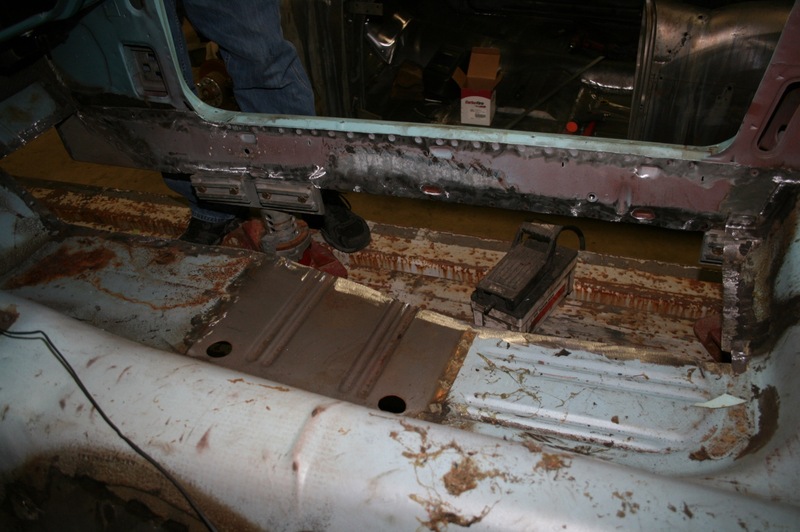 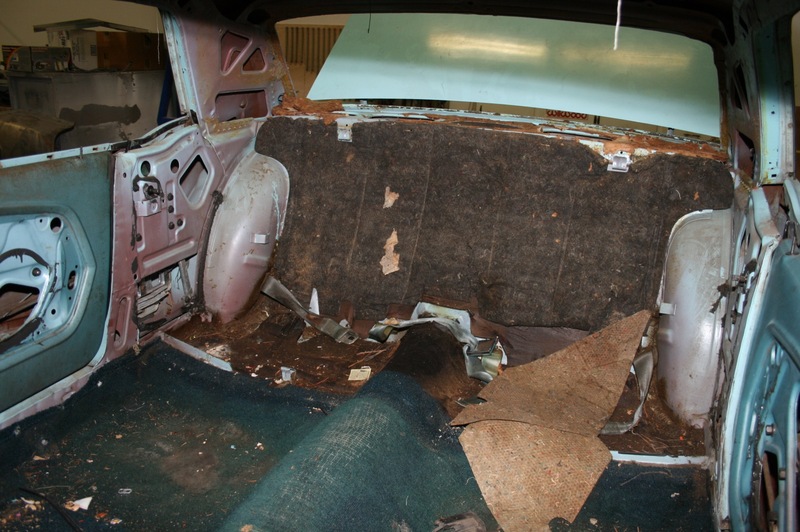 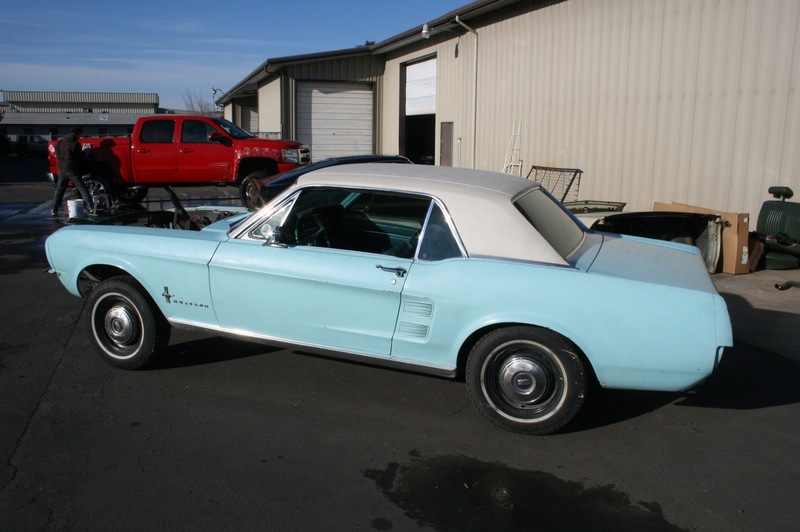 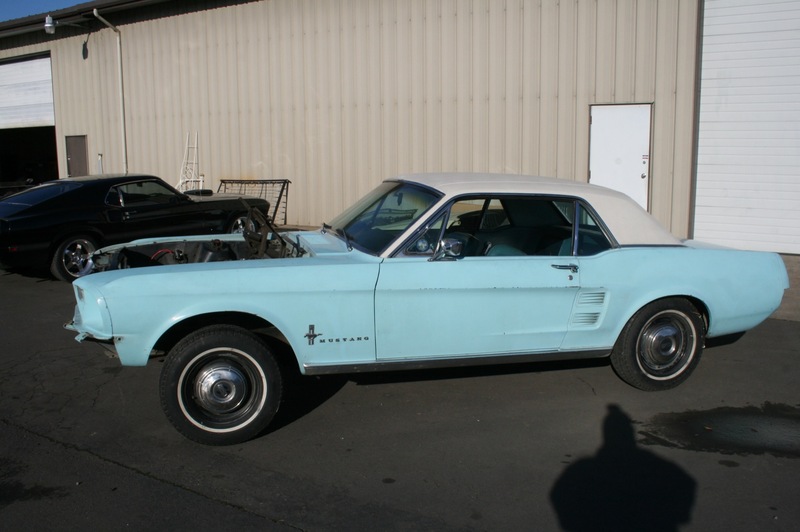 This blue 1967 Ford mustang arrived at our restoration and speed shop to receive a fresh coat of paint. 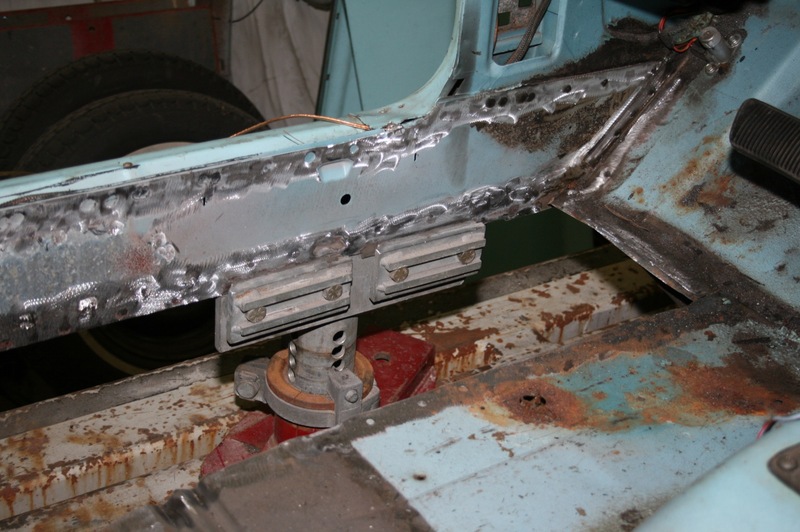 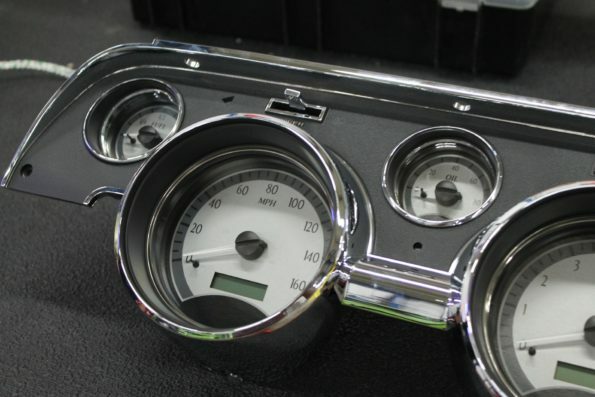 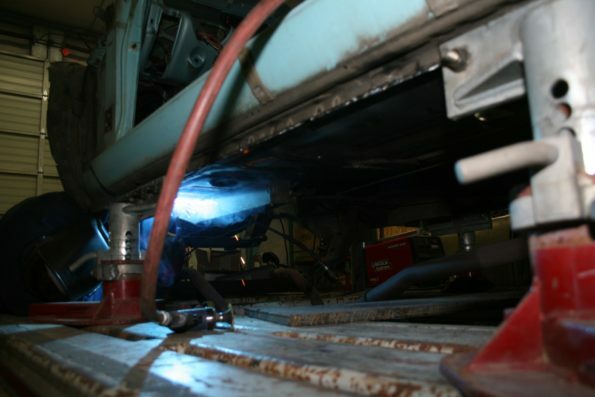 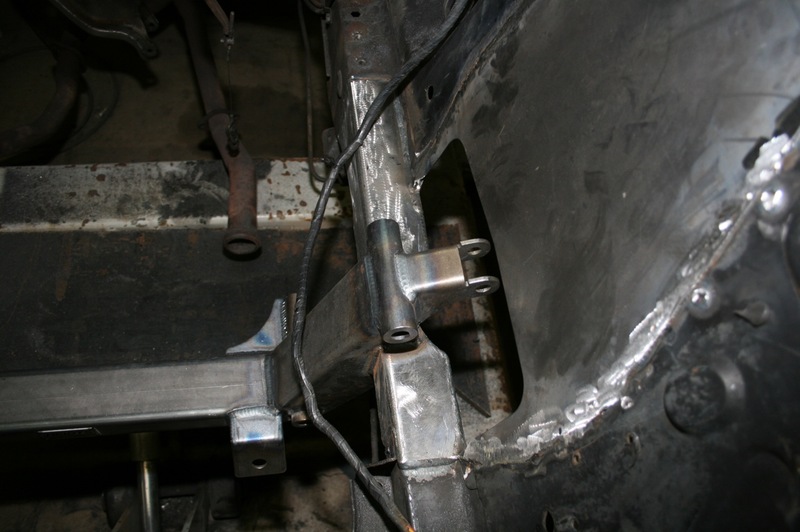 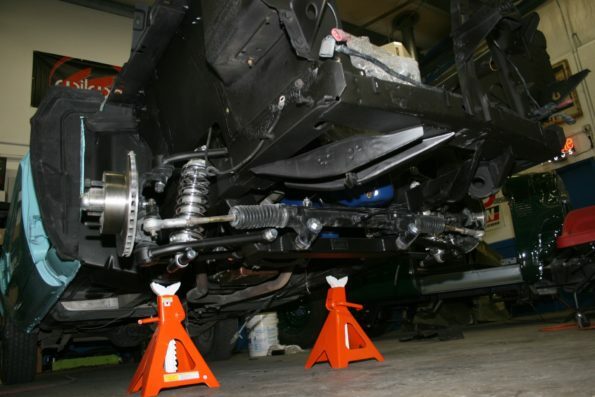 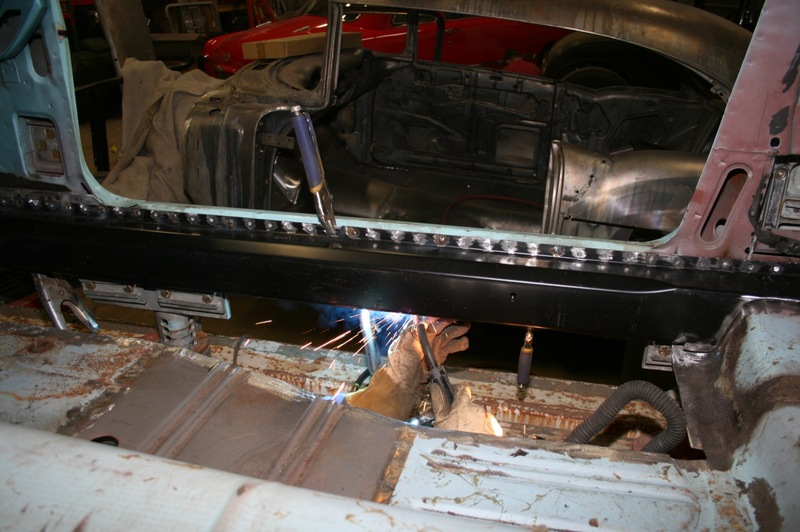 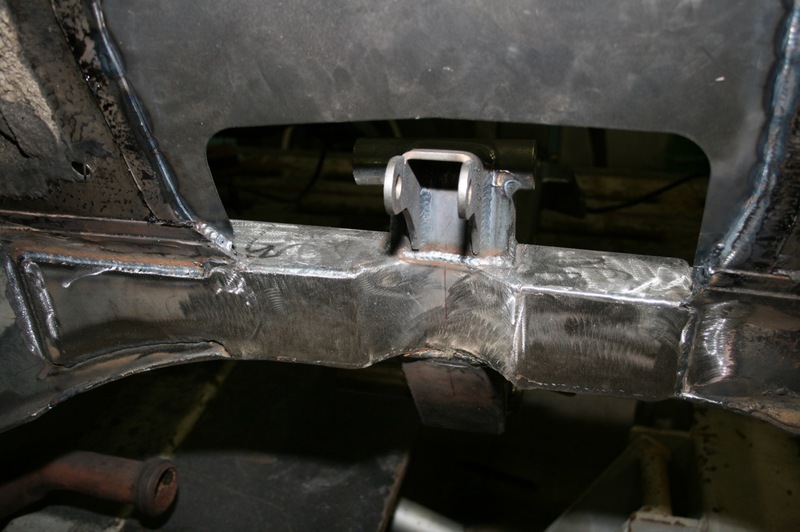 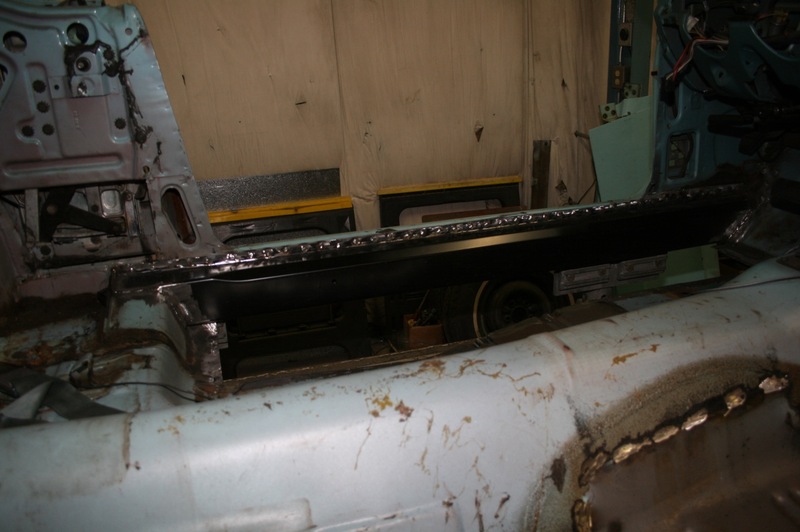 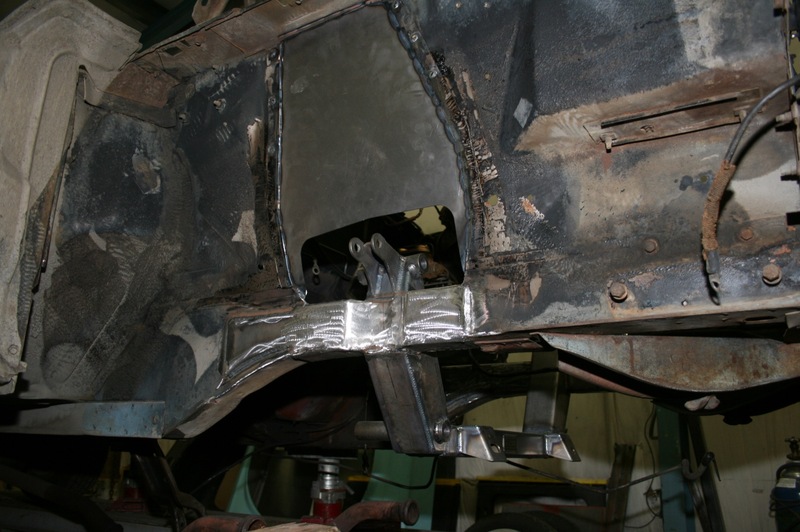 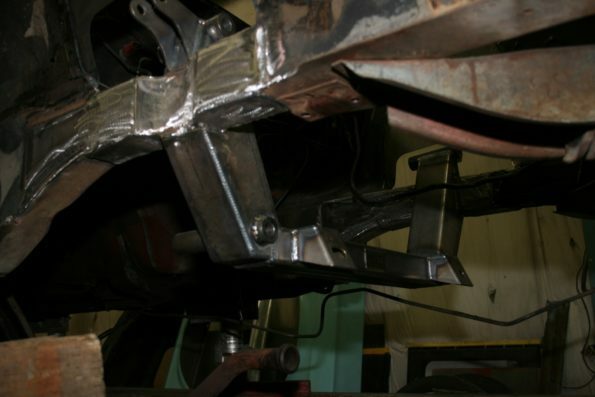 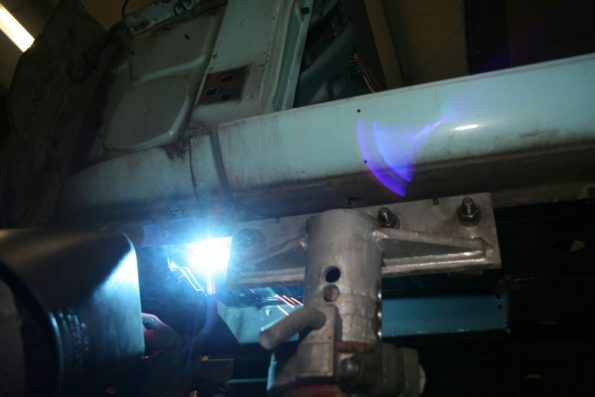 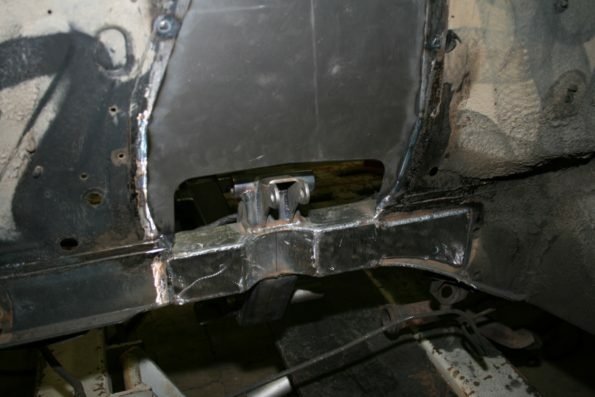 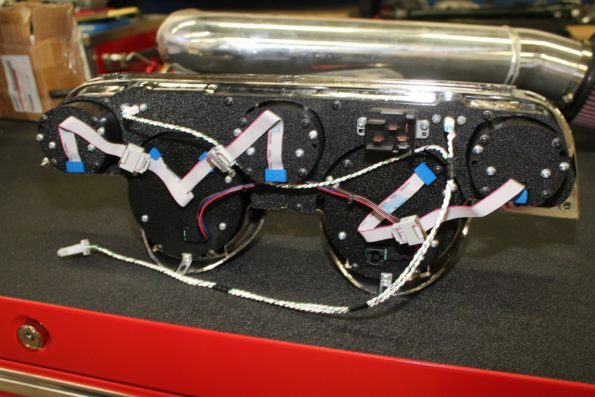 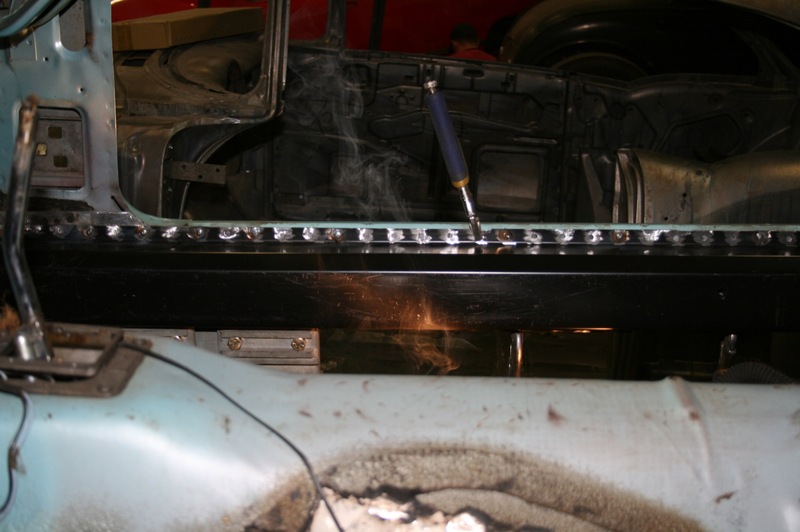 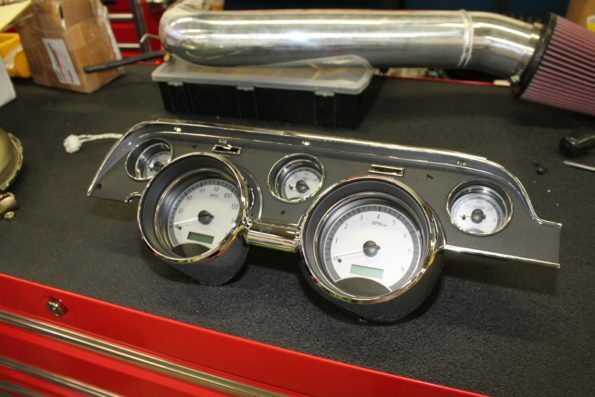 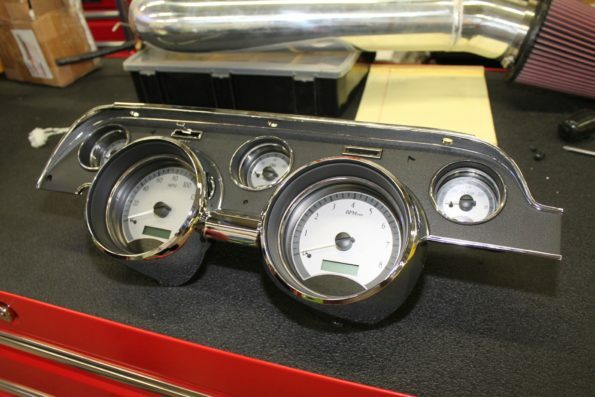 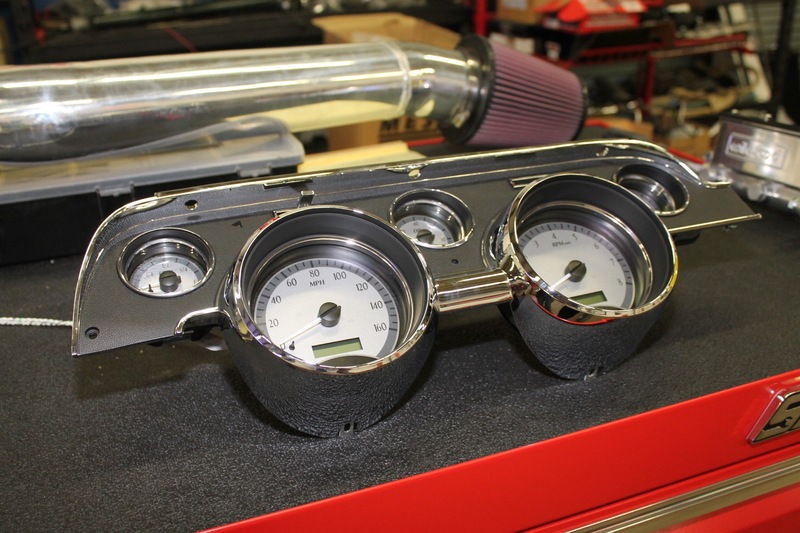 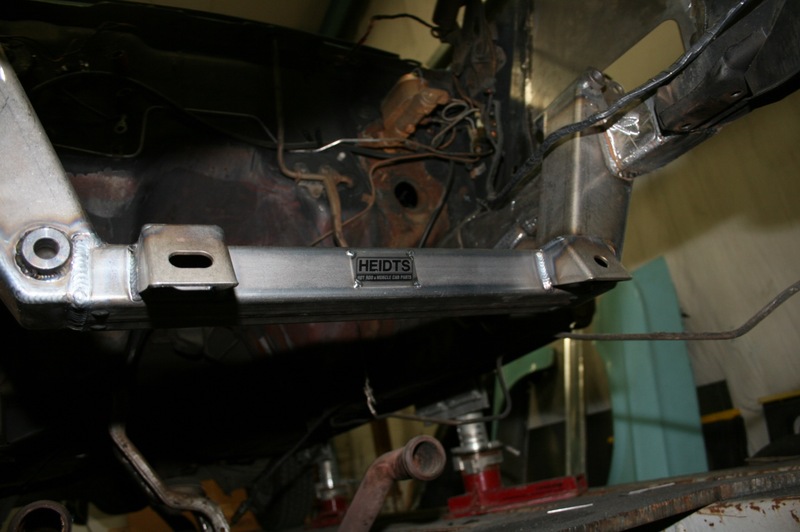 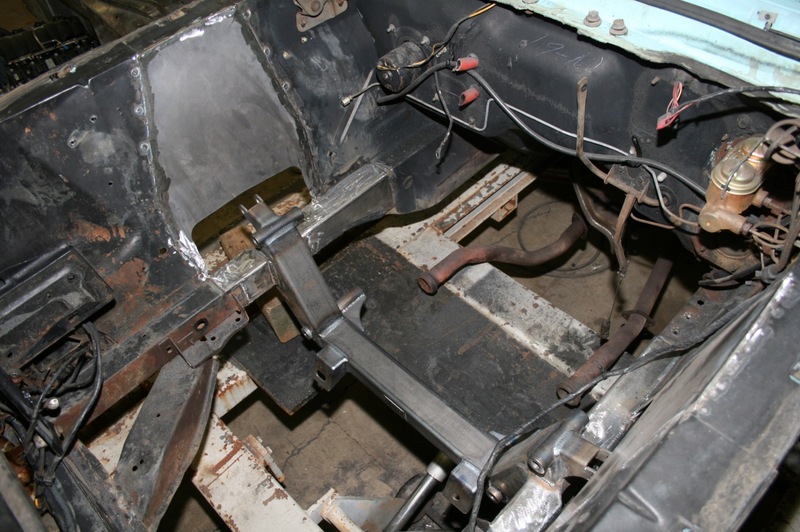 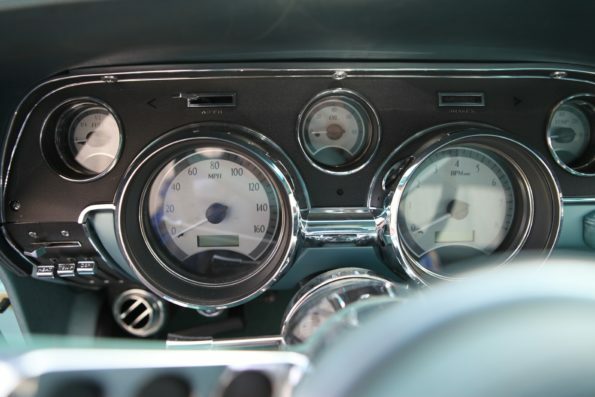 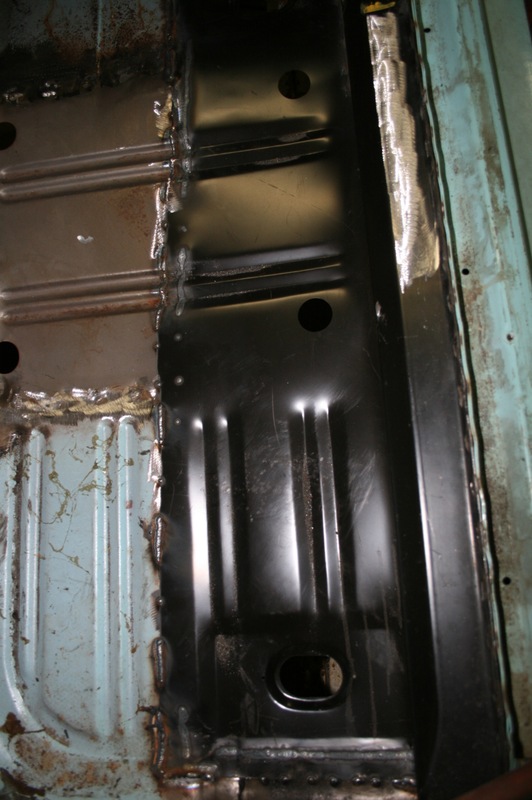 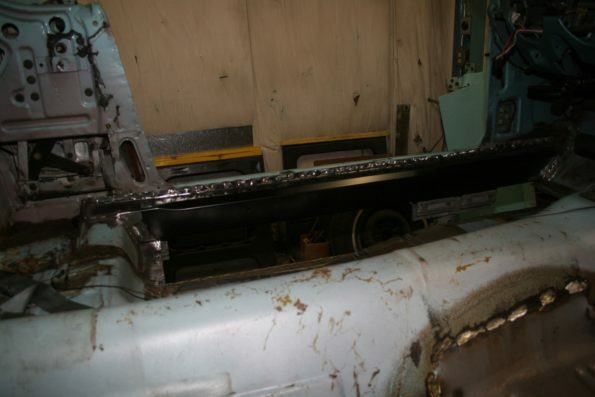 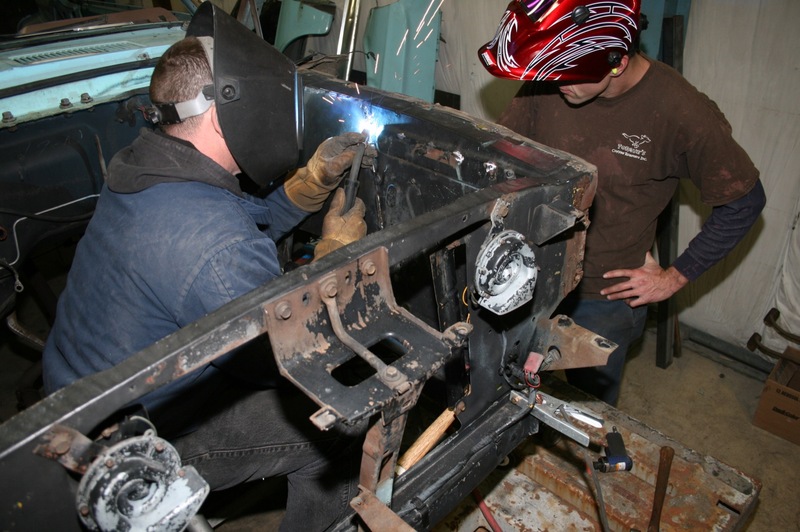 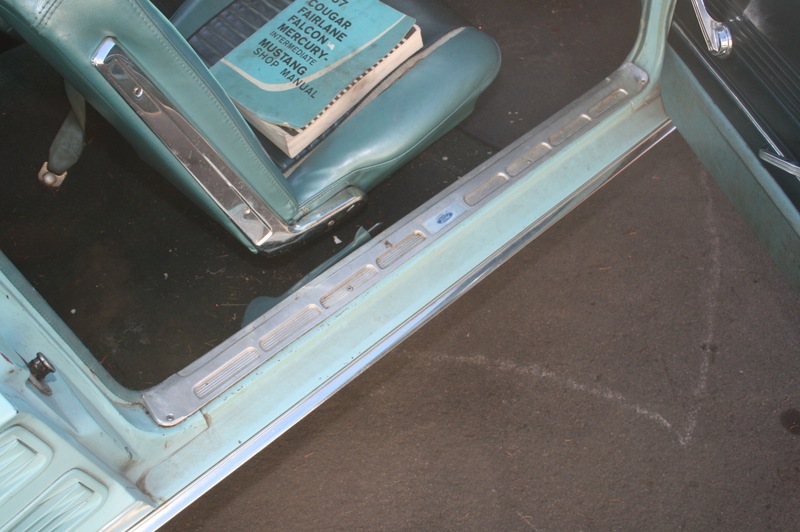 Our Speed Shop also supplied and we installed a HEIDTS front suspension, and Dakota Digital gauges. 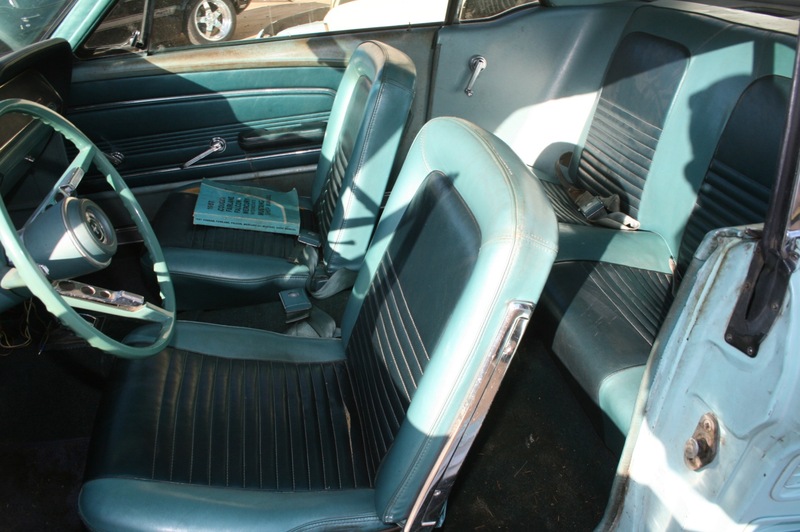 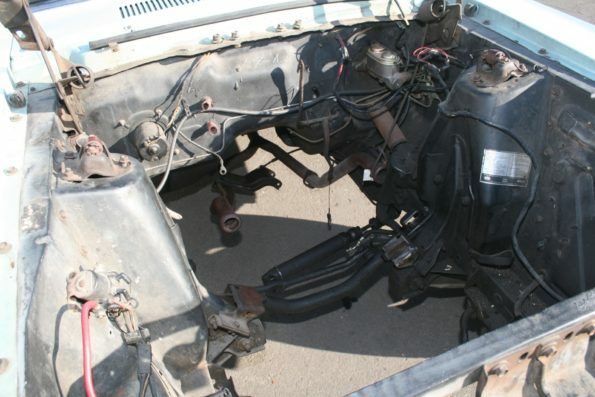 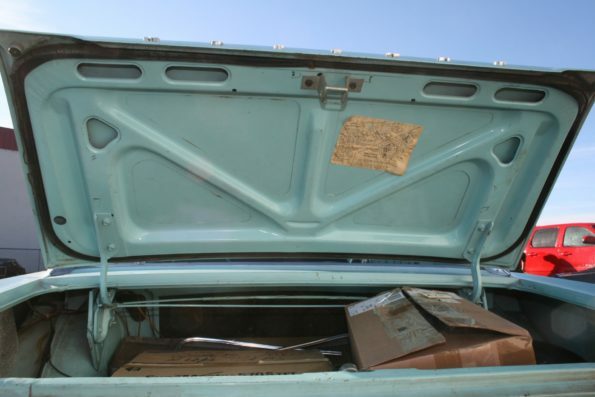 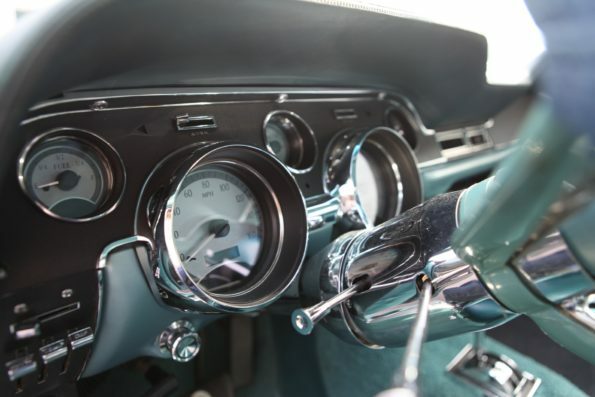 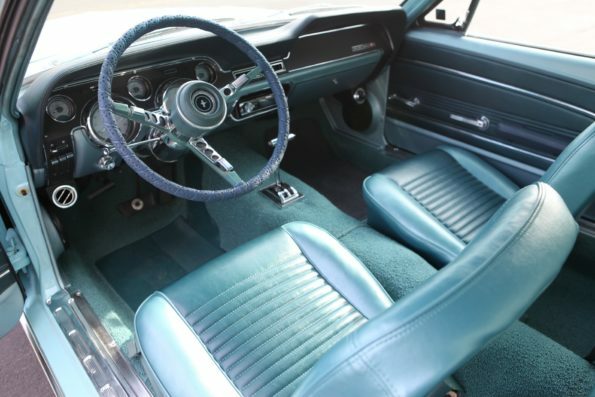 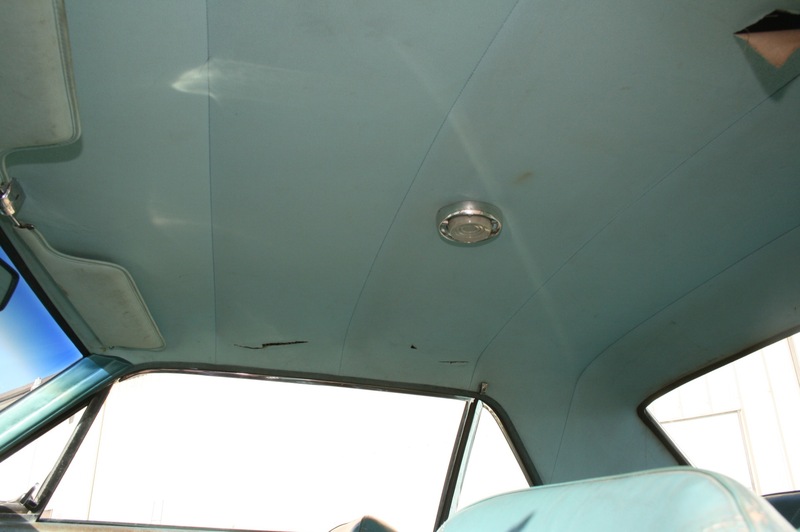 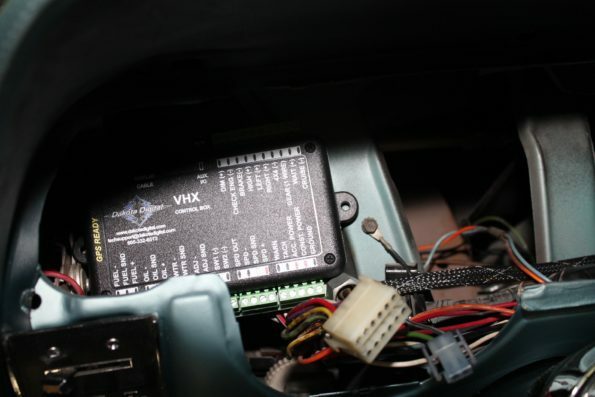 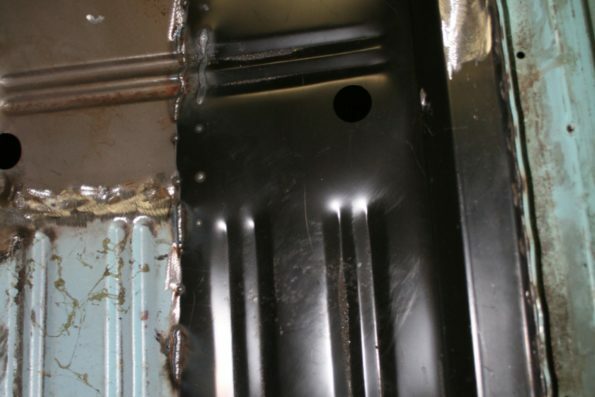 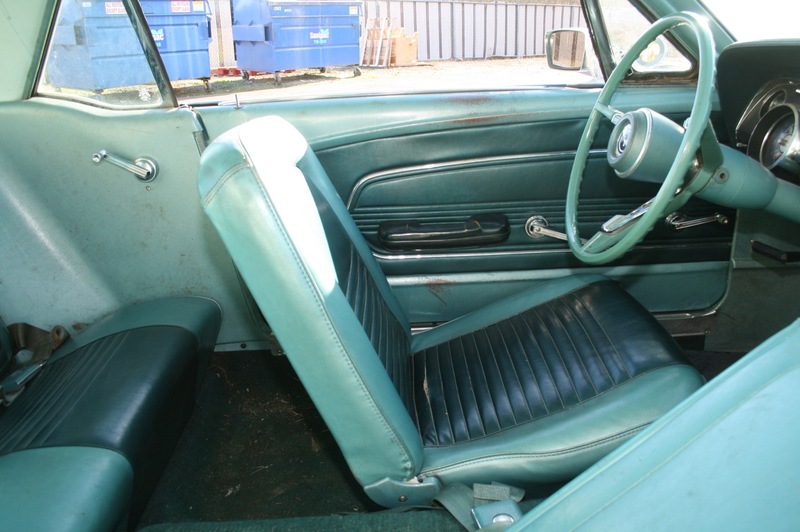 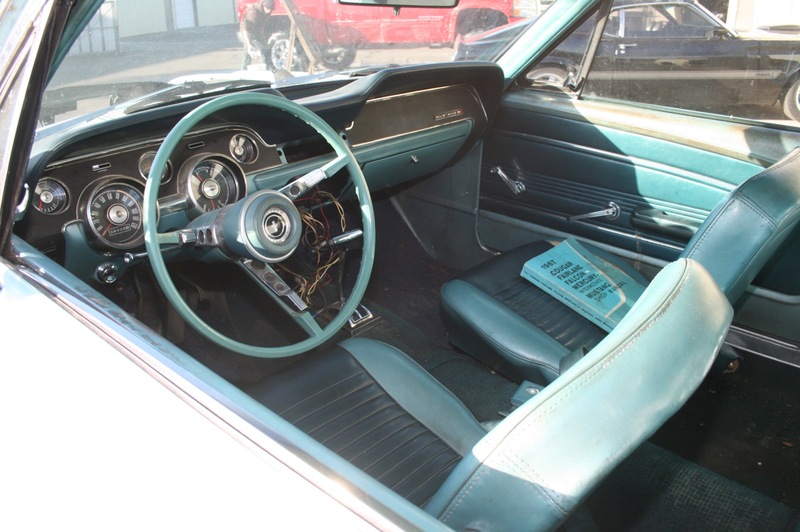 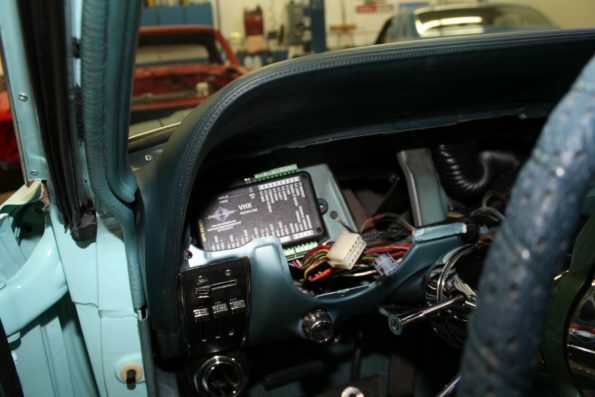 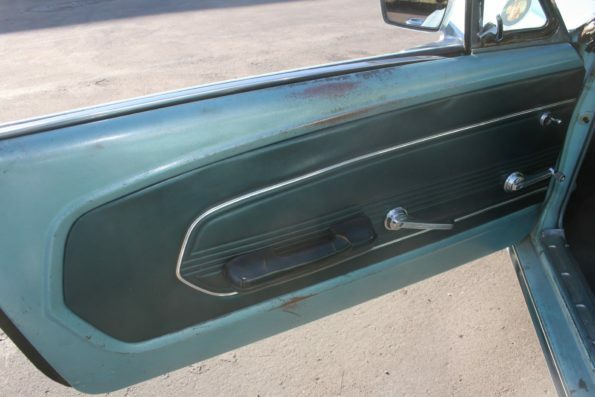 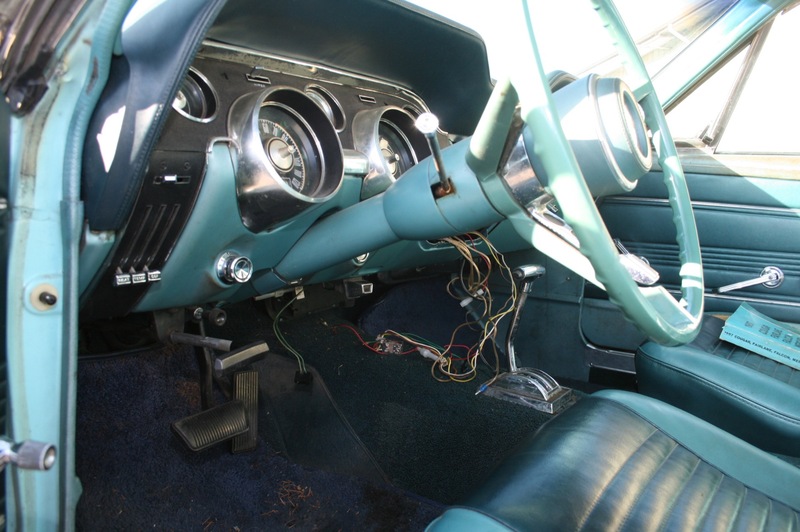 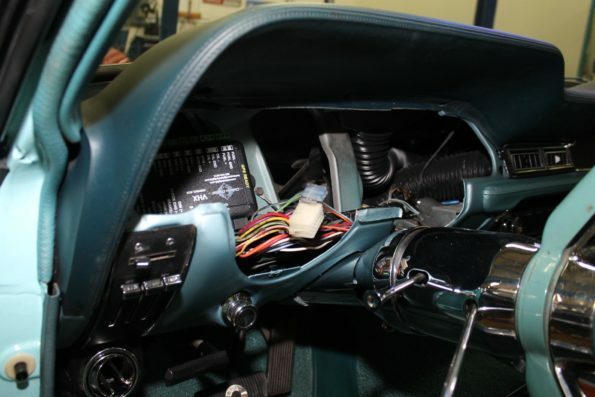 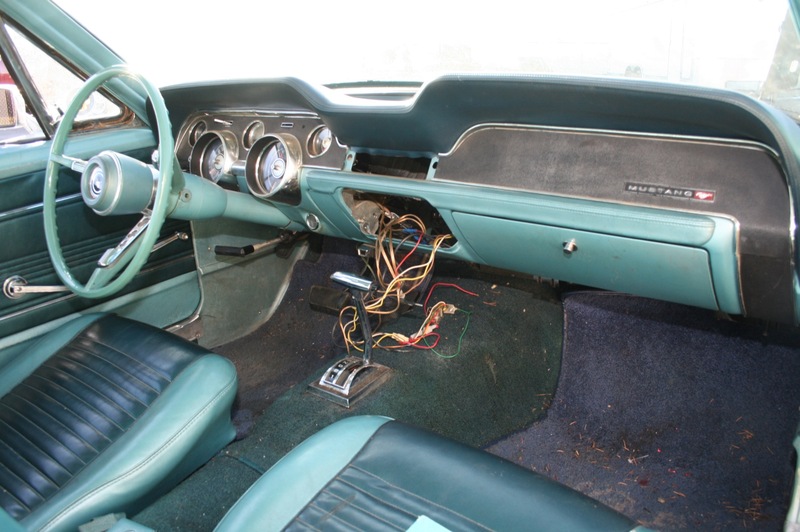 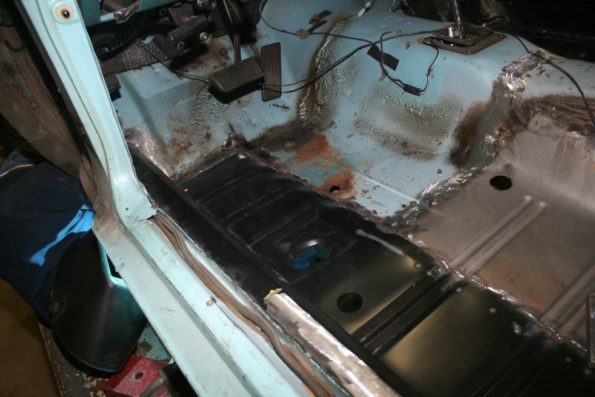 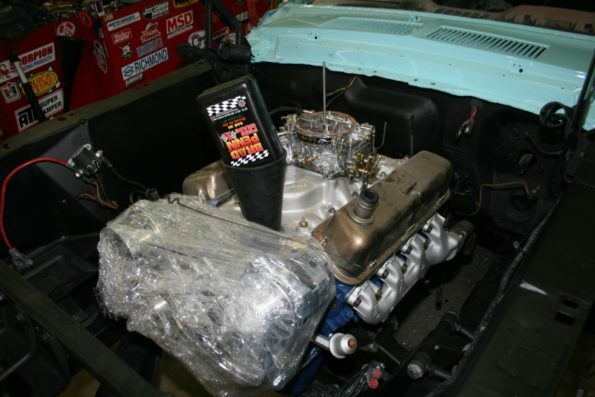 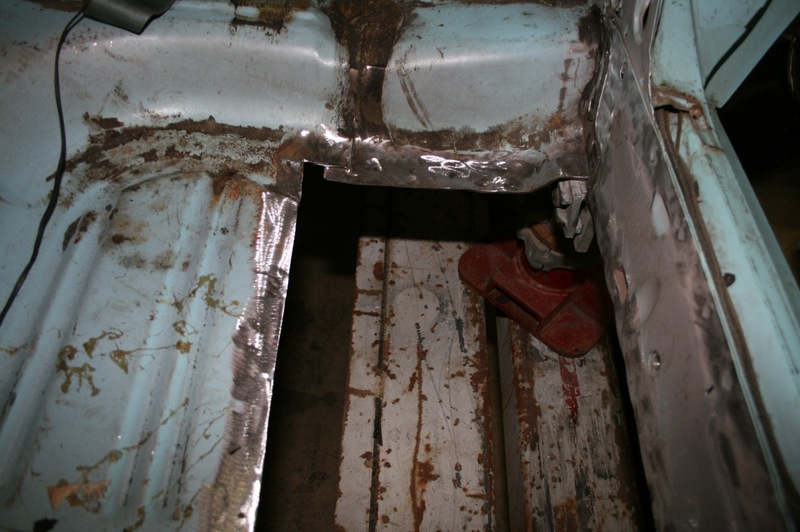 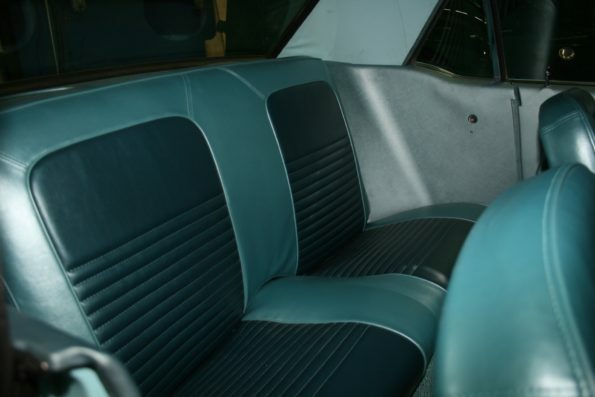 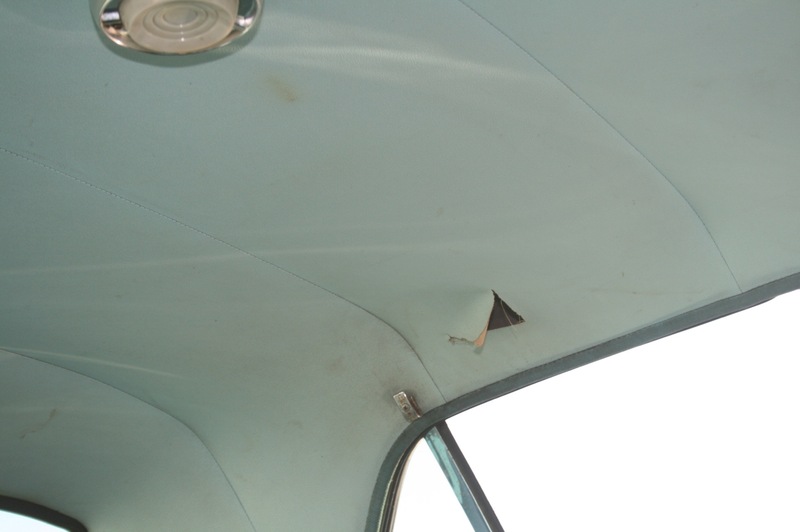 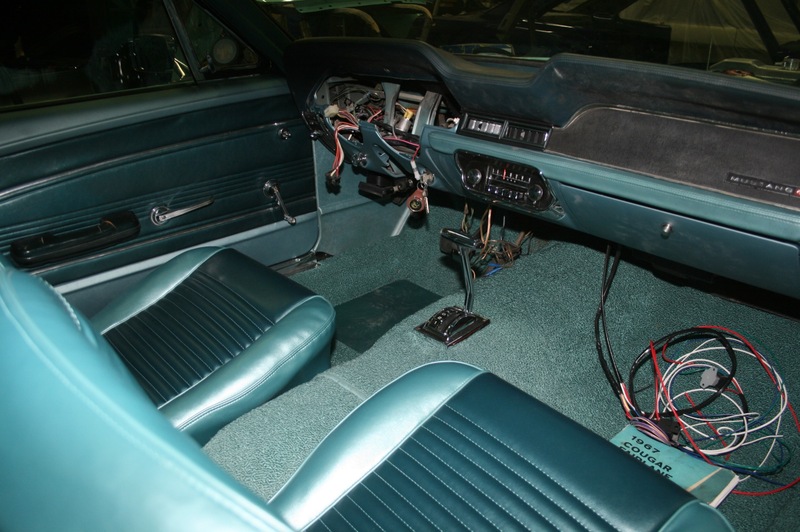 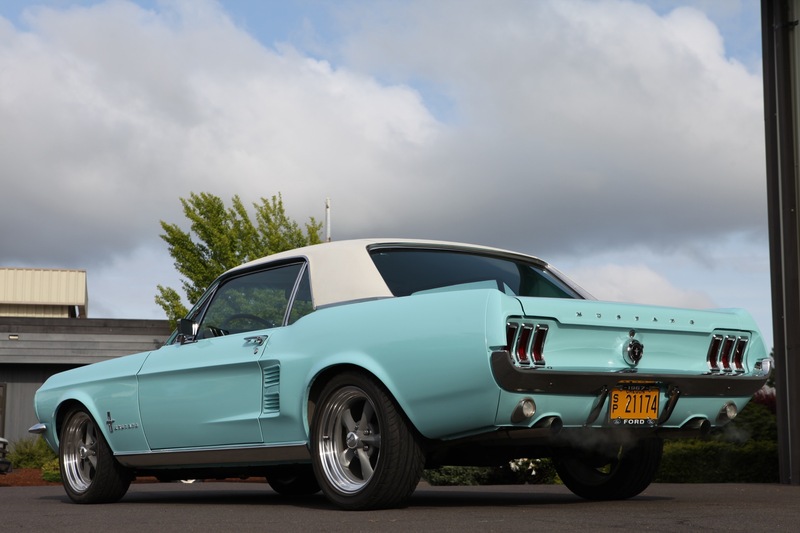 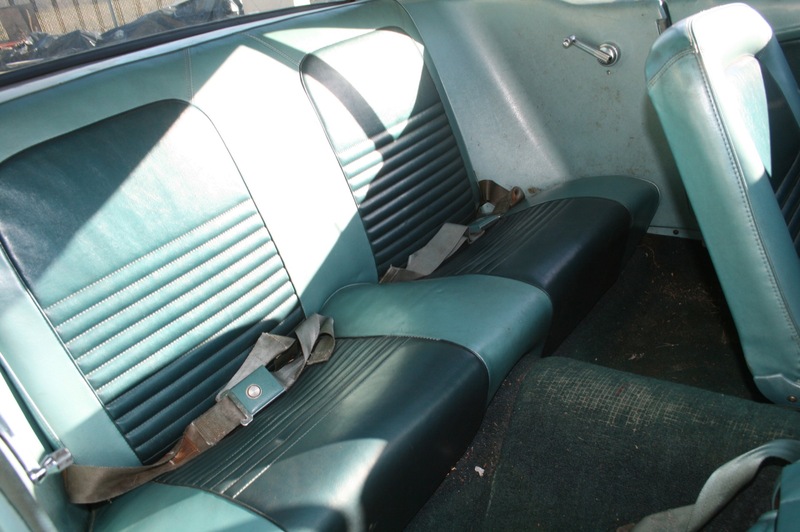 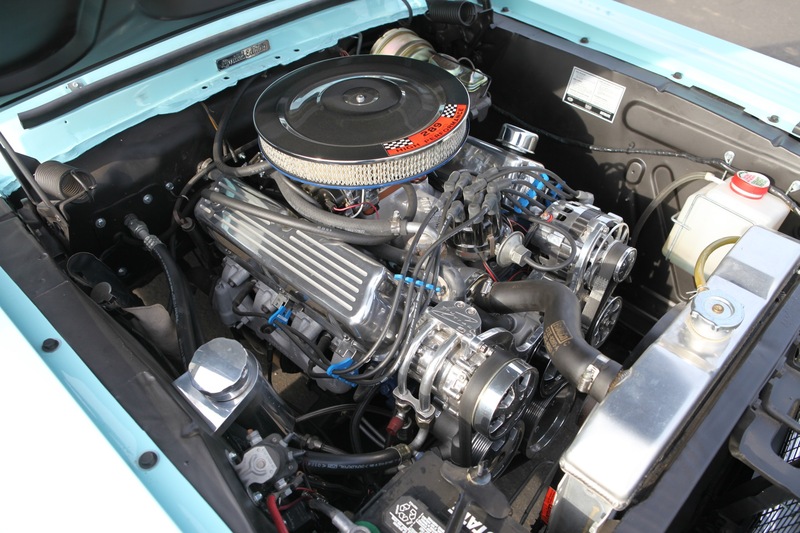 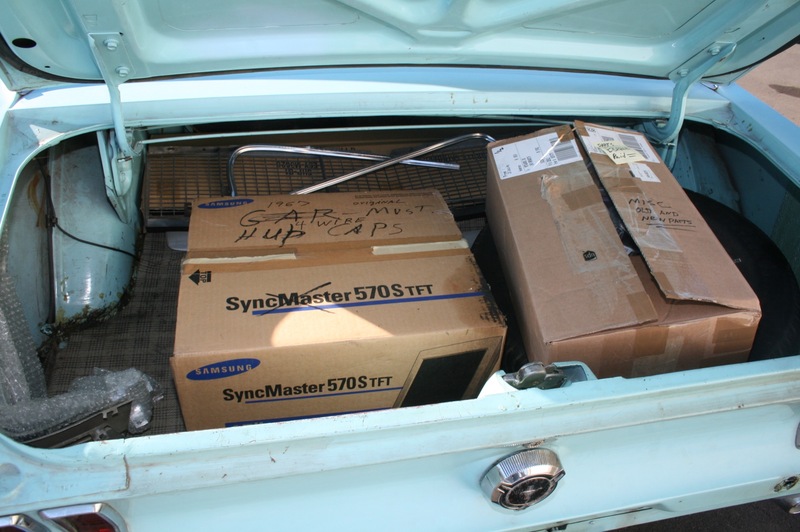 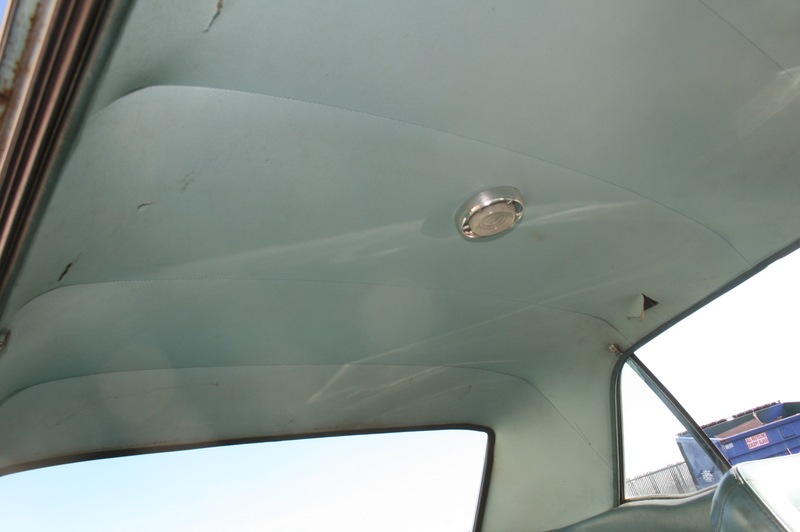 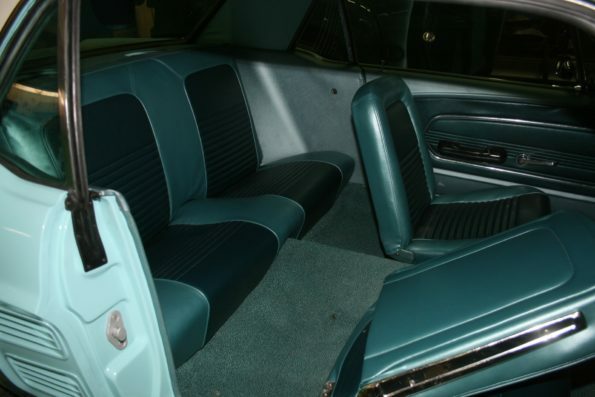 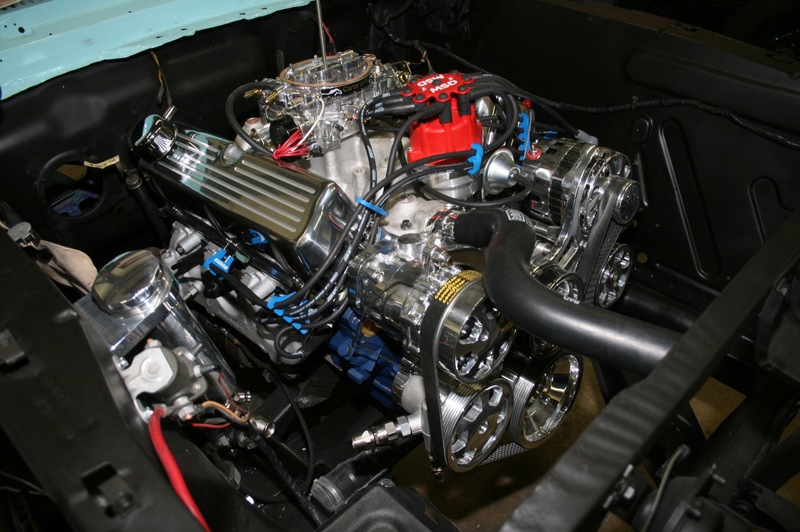 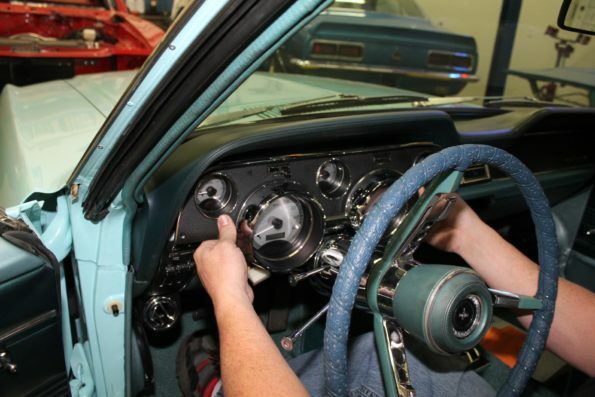 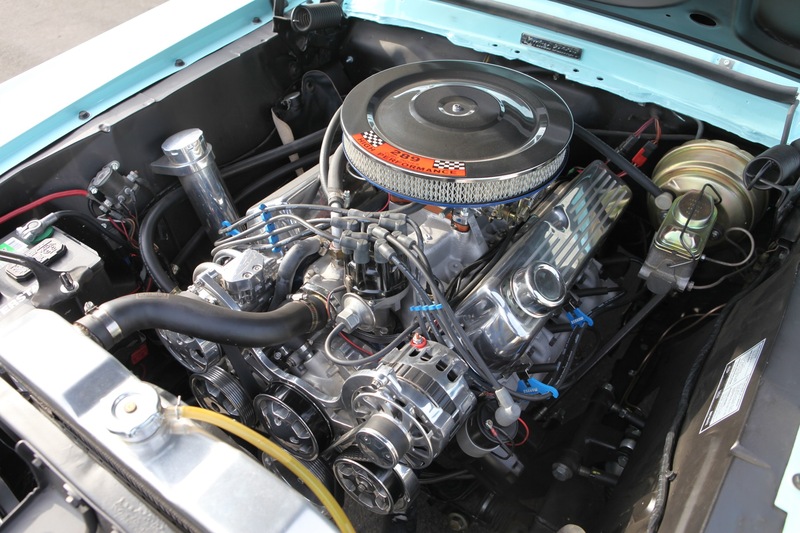 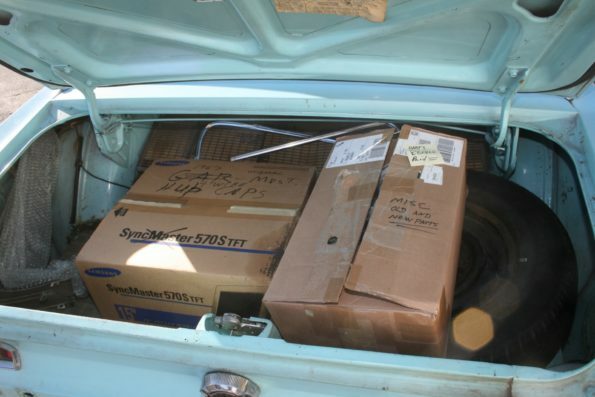 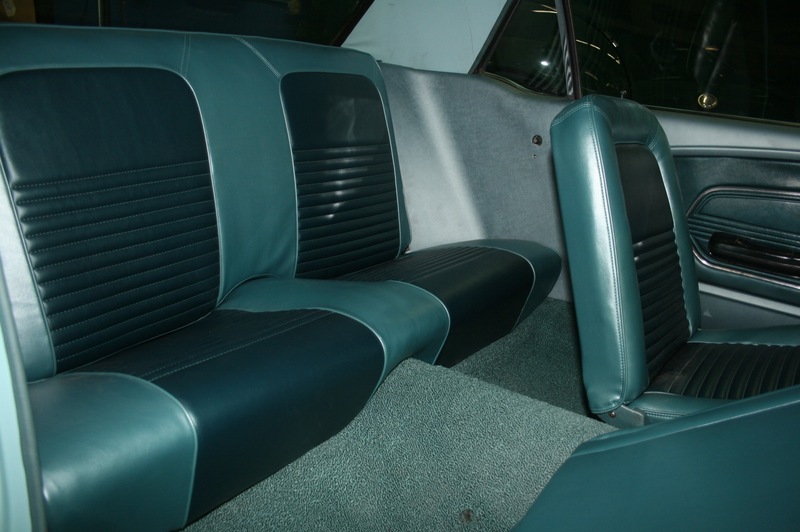 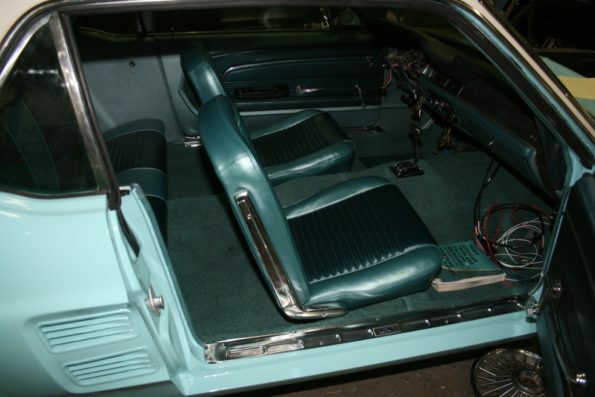 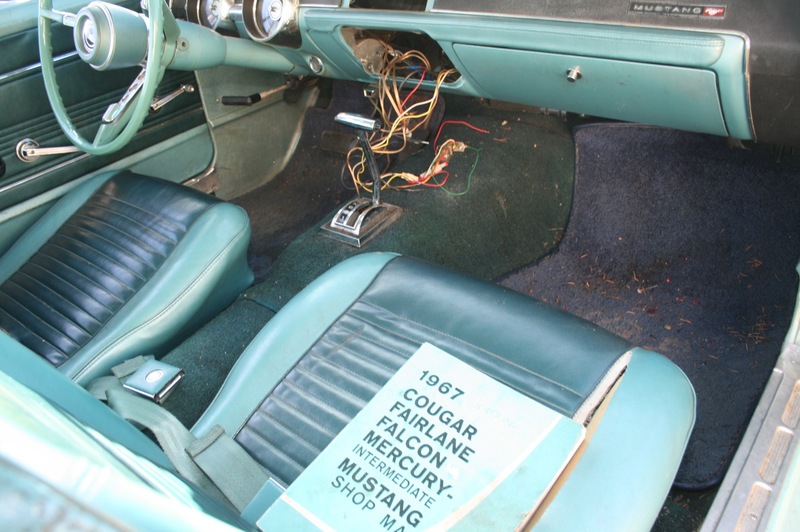 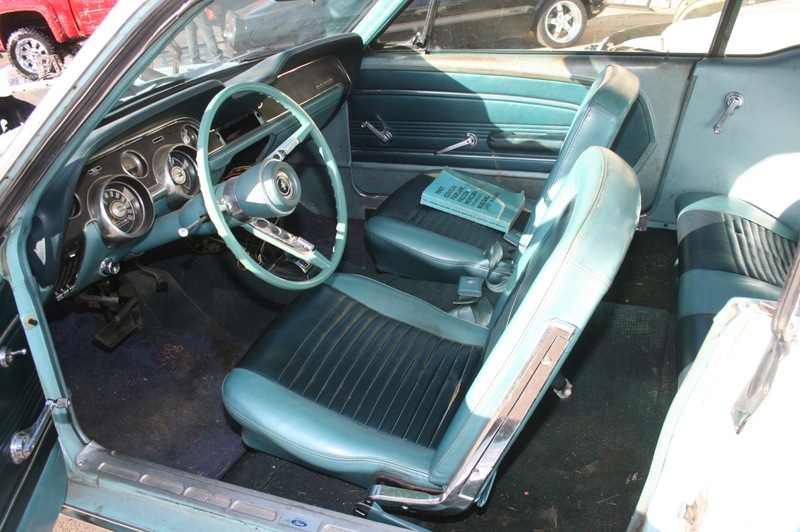 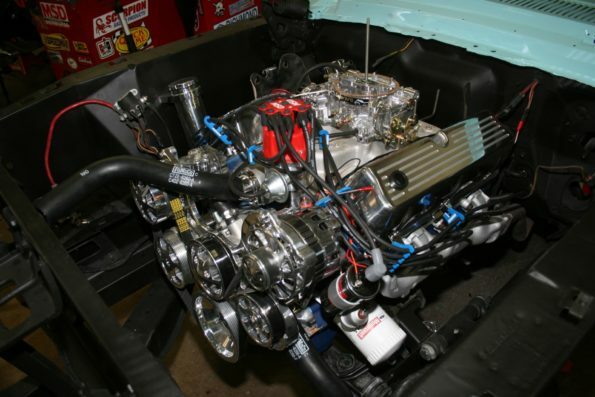 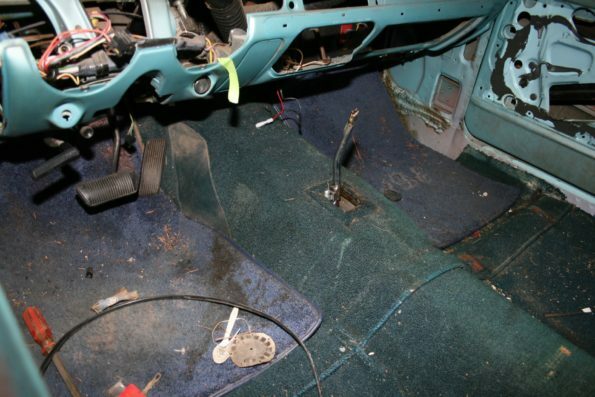 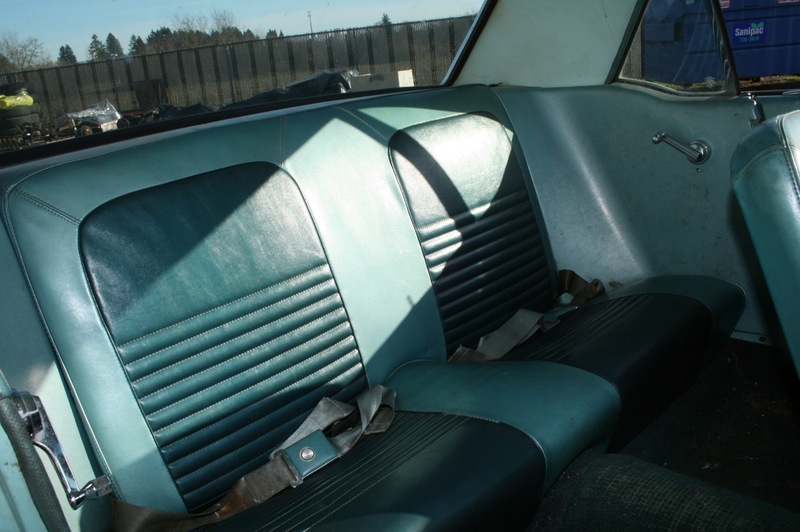 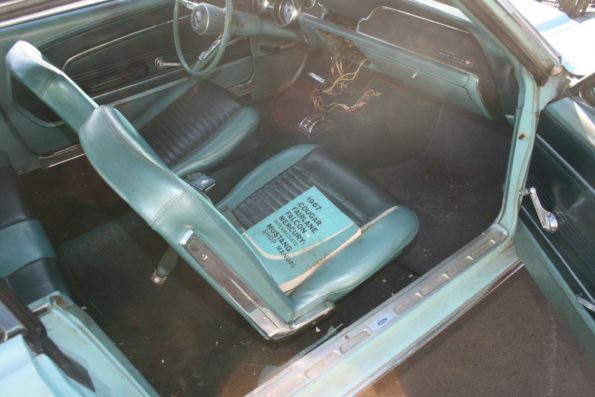 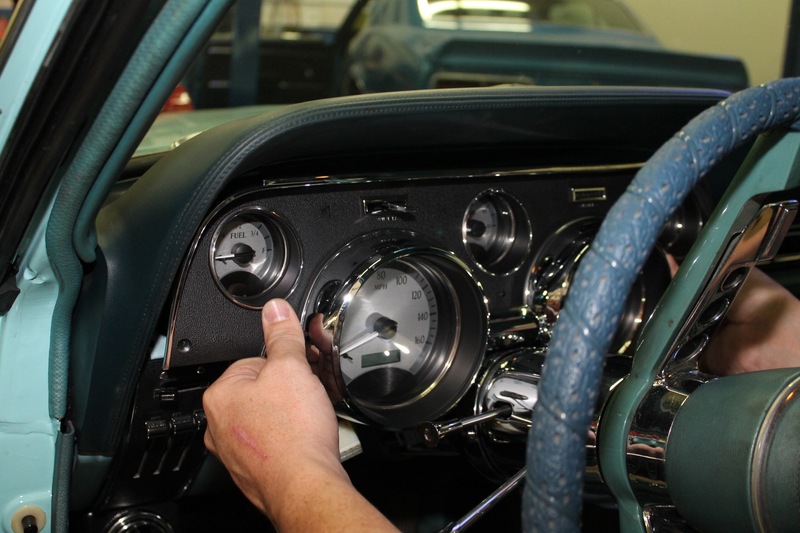 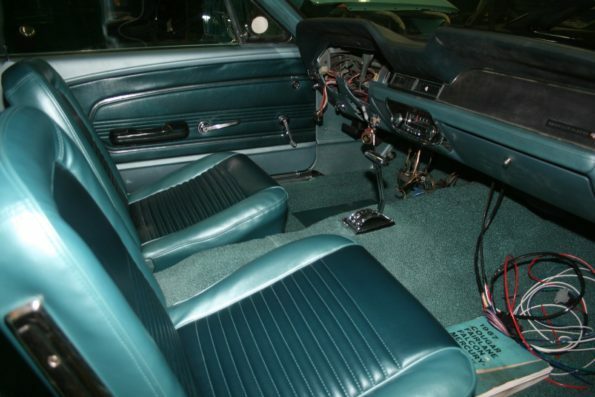 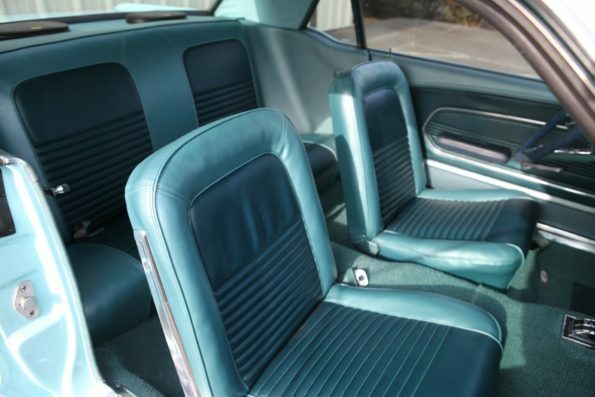 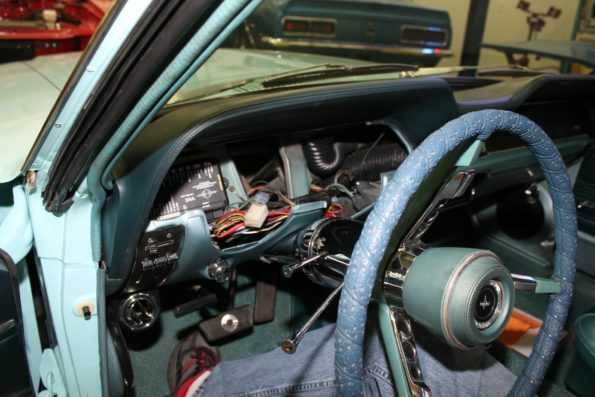 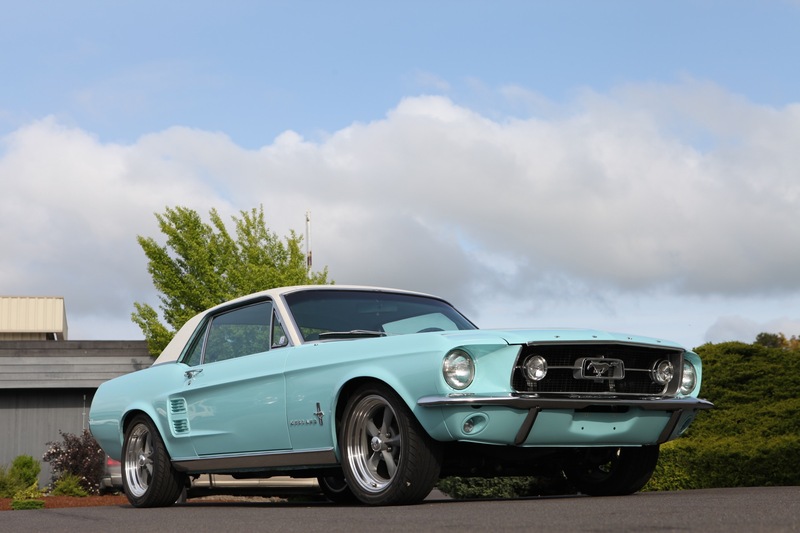 The mild performance upgrades will make cruising in this classic pony car all the better.